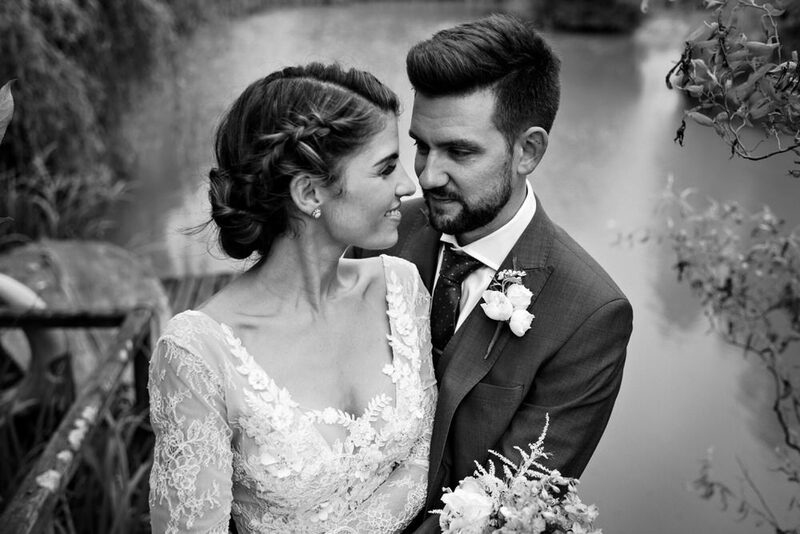 I absolutely cannot believe it has taken me this long to share this wonderful wedding with you. 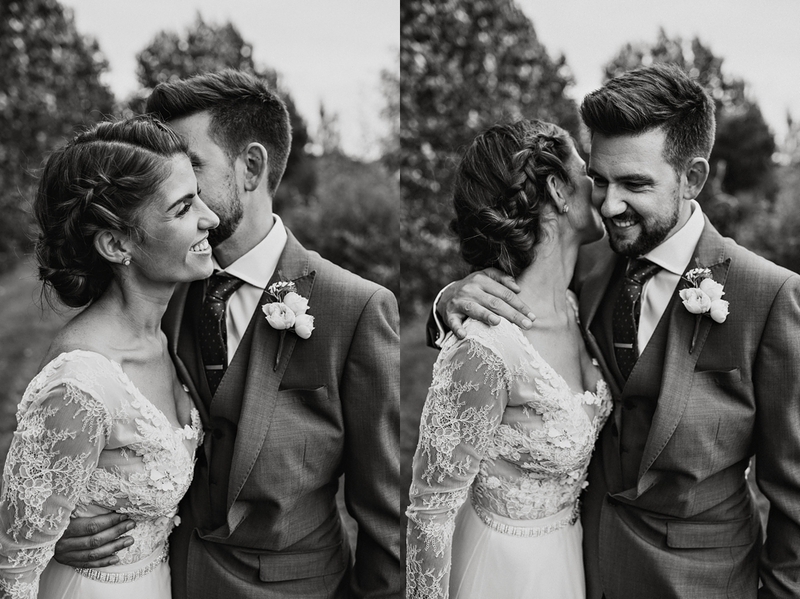 It was my first time as a Rumbolds Farm wedding photographer and I had just the best day ever being a part of Emily and Nick’s gorgeous autumn wedding. 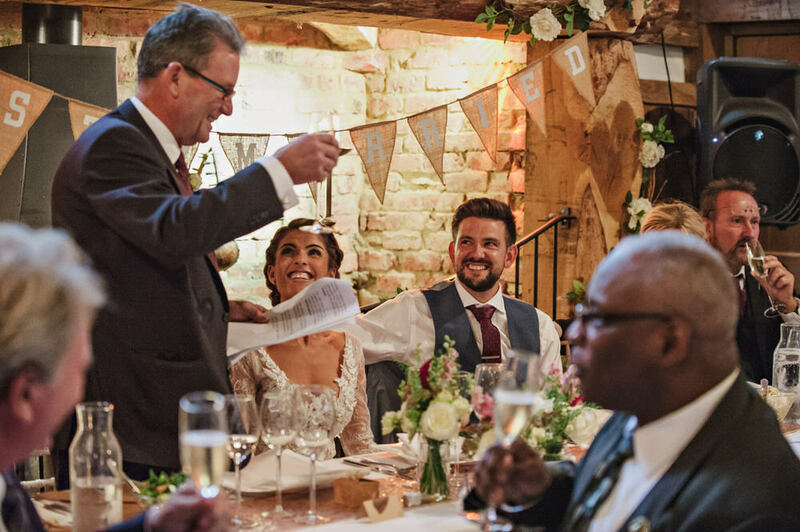 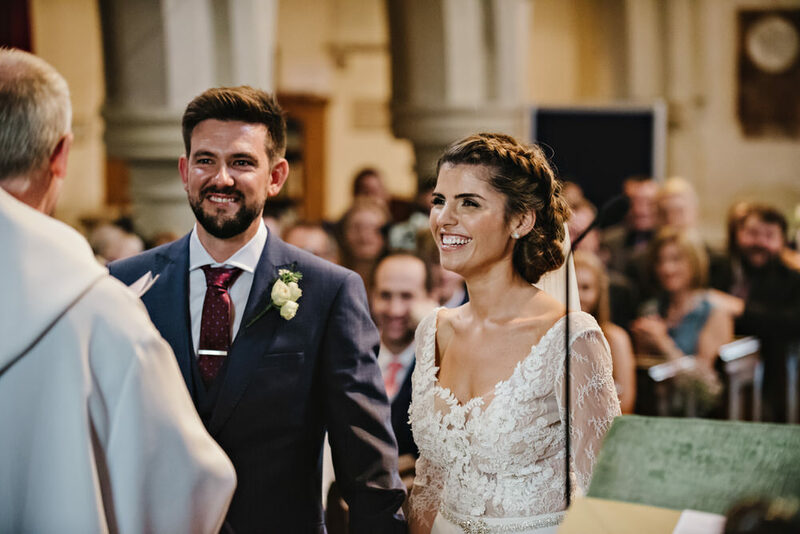 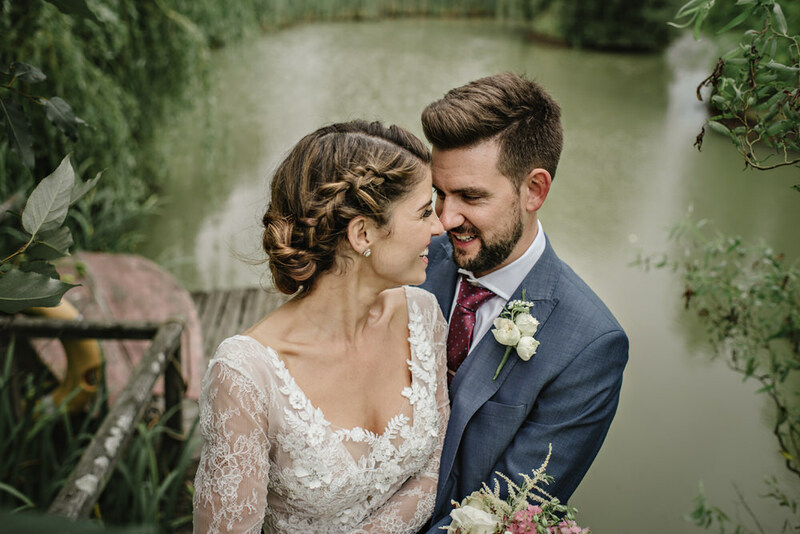 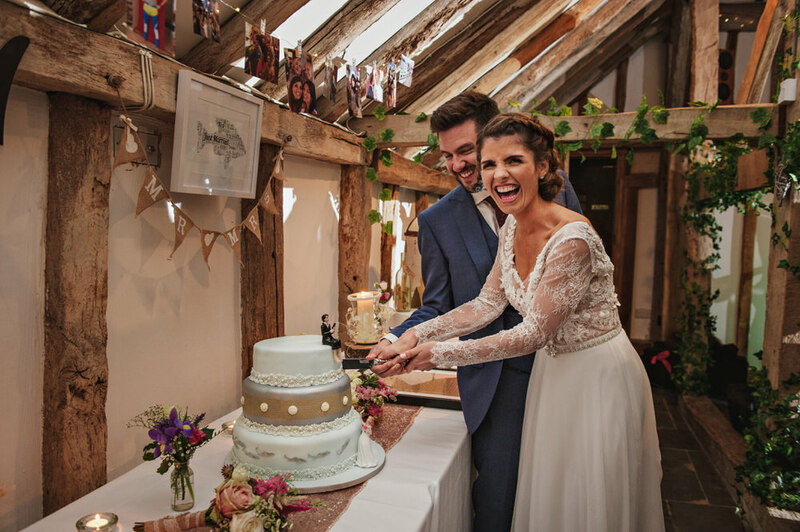 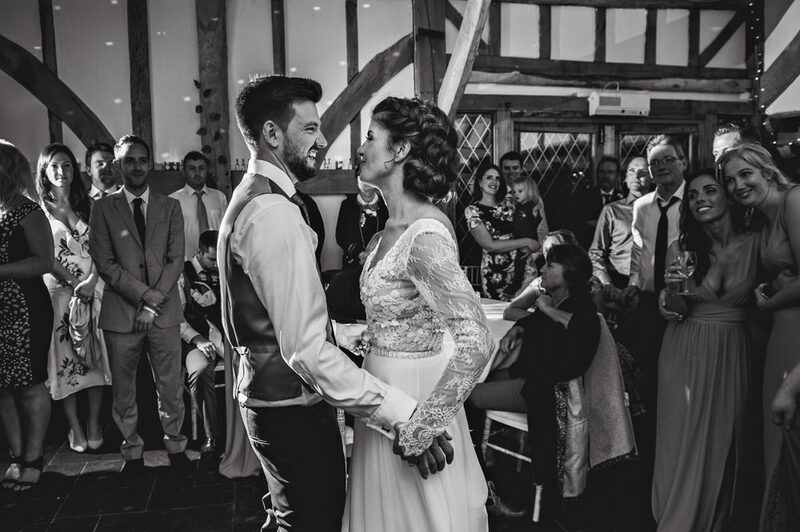 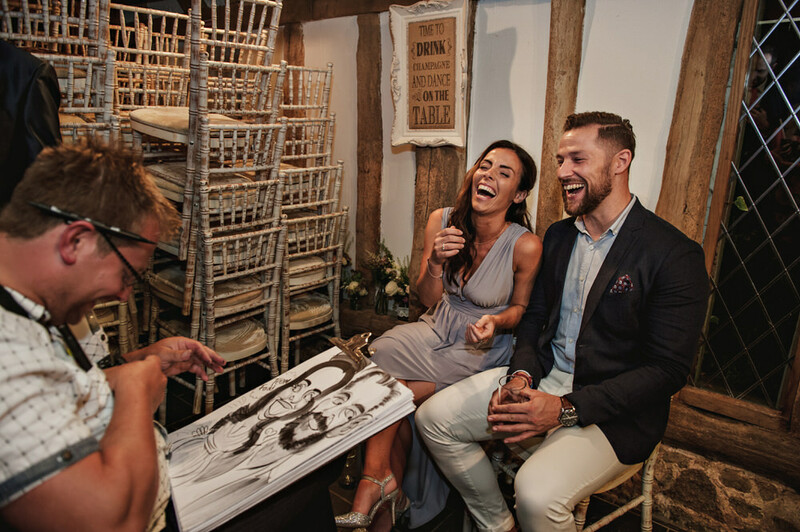 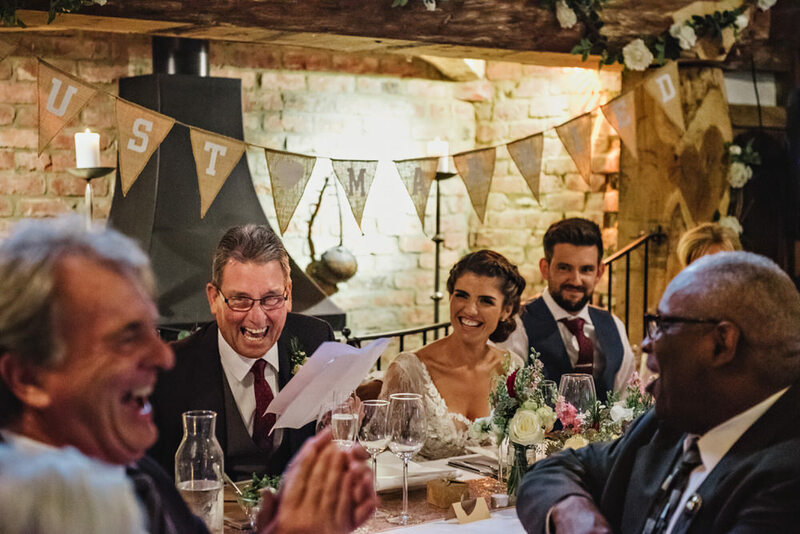 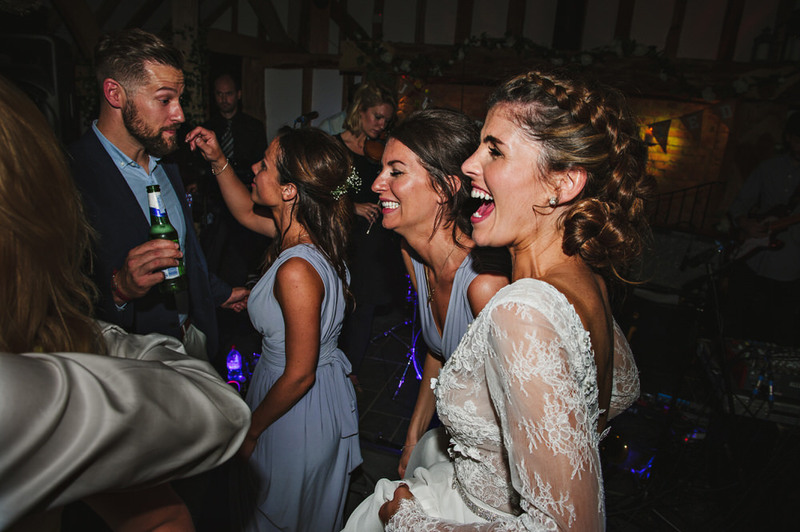 I could gush about these two all day and the thoughtful, laid-back rustic style of their wedding, the funny and heartfelt speeches, and the brilliant packed dance floor afterwards. 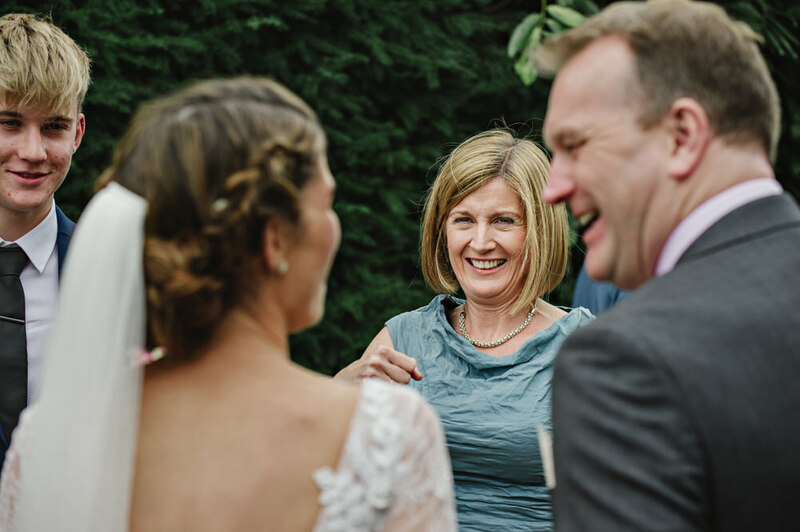 Funnily enough, a new word for today popped up in my newsfeed ….. Elysium…any place or state of perfect happiness; paradise. 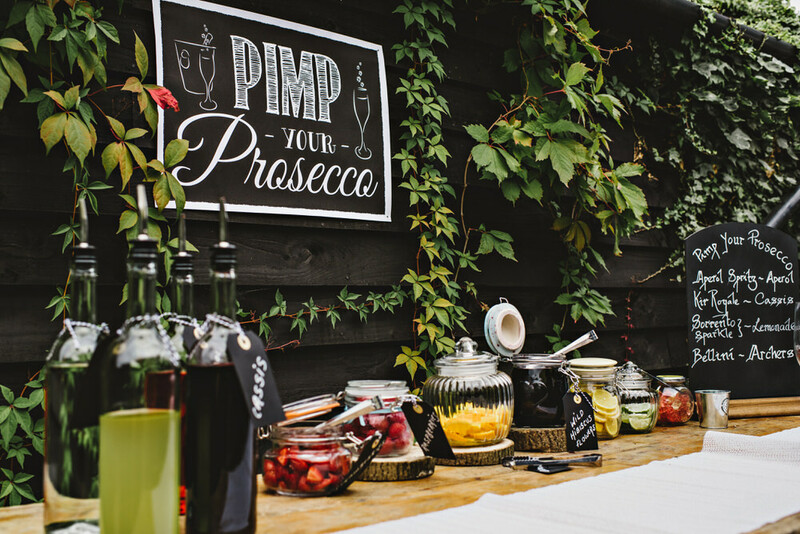 How appropriate! 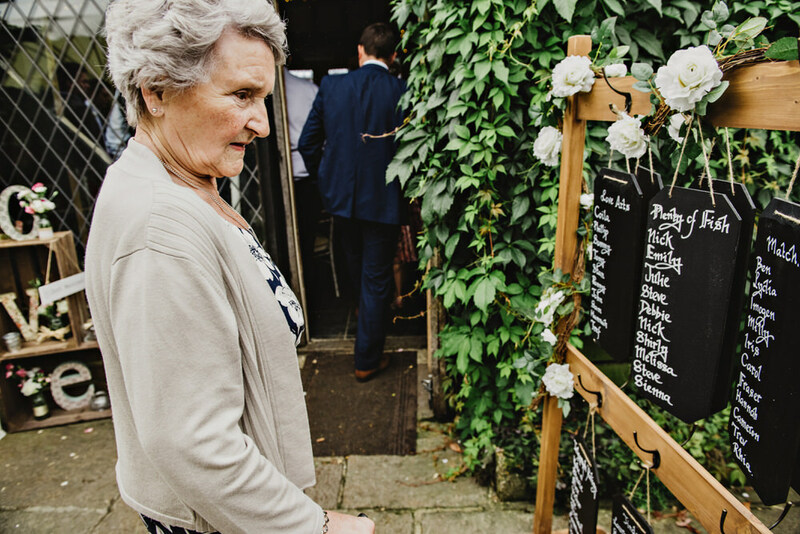 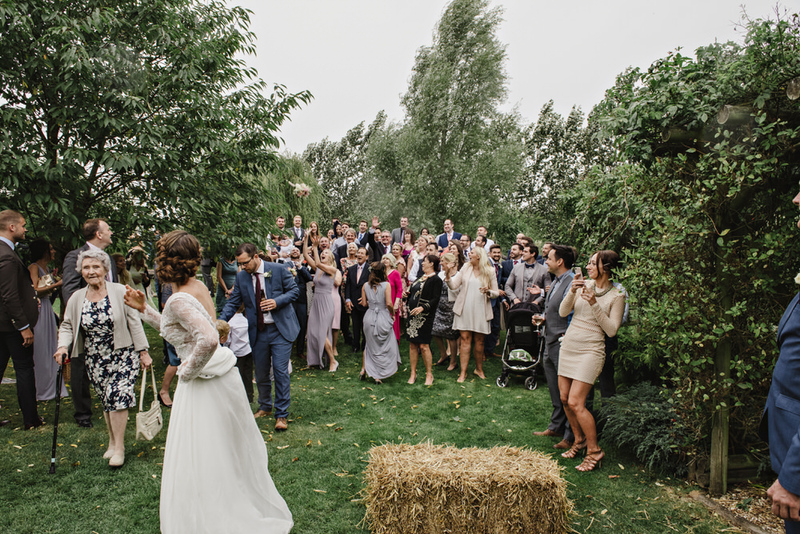 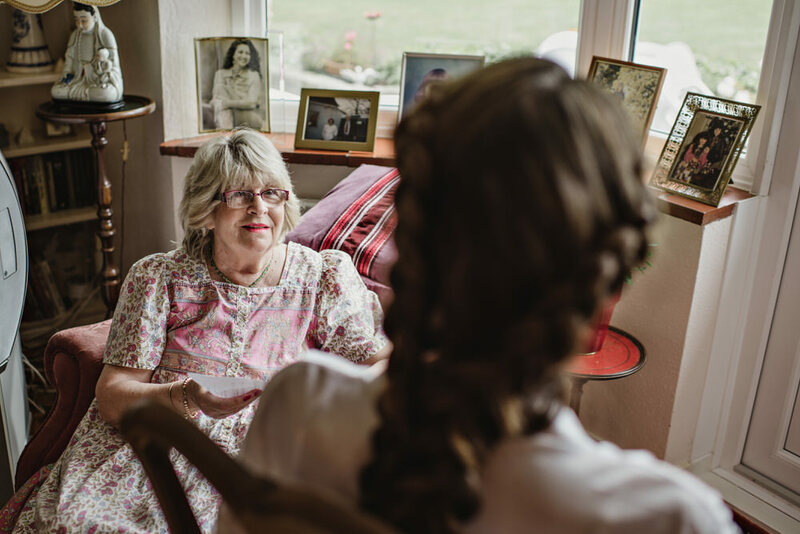 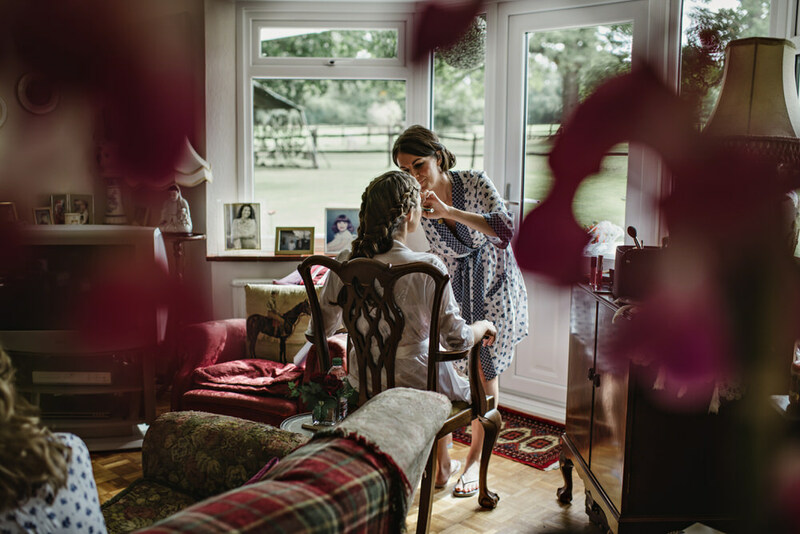 We started off at Emily’s nan’s house which was set in the rolling Surrey countryside complete with horses and stables. 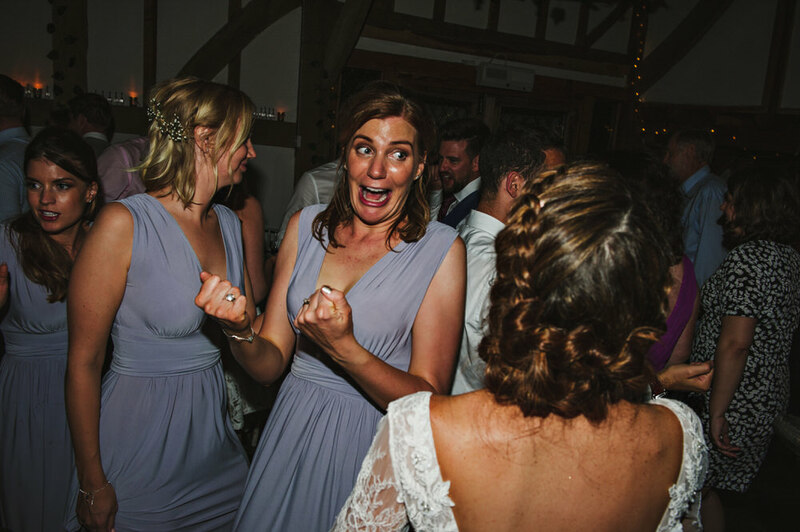 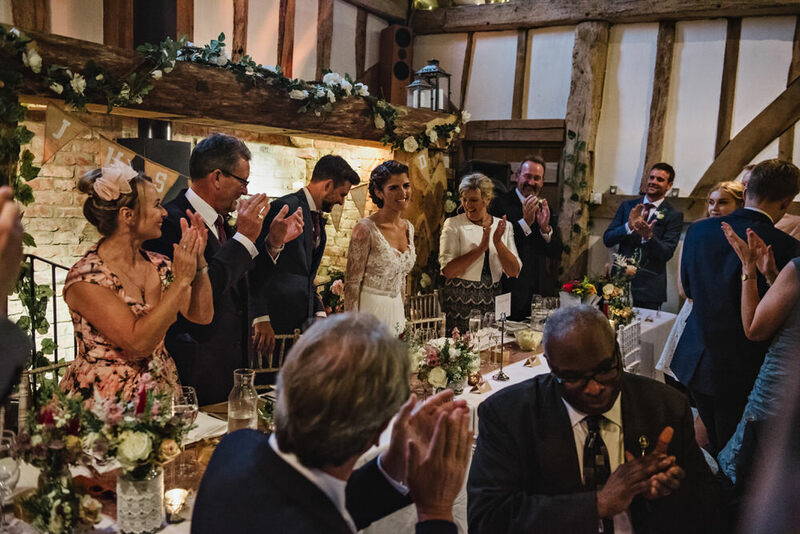 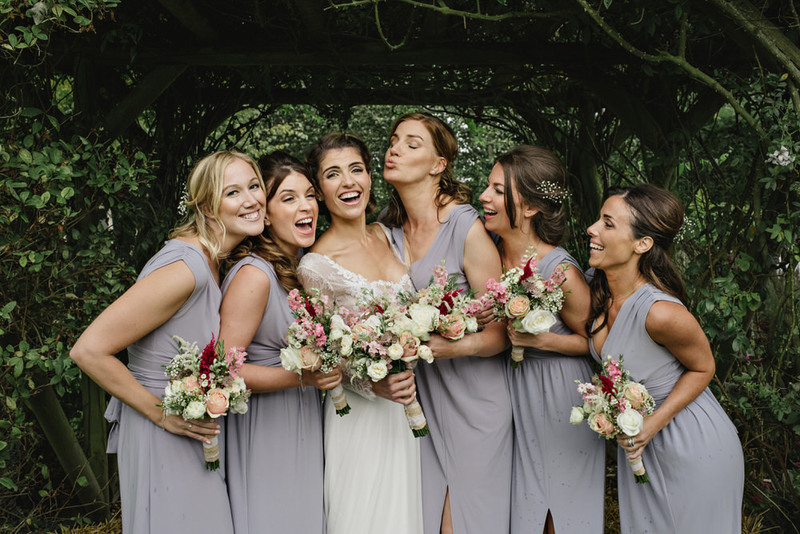 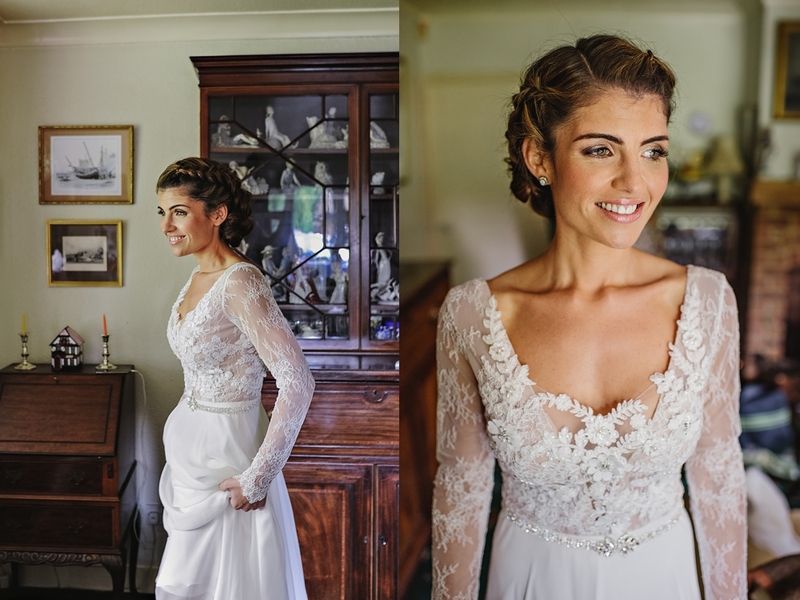 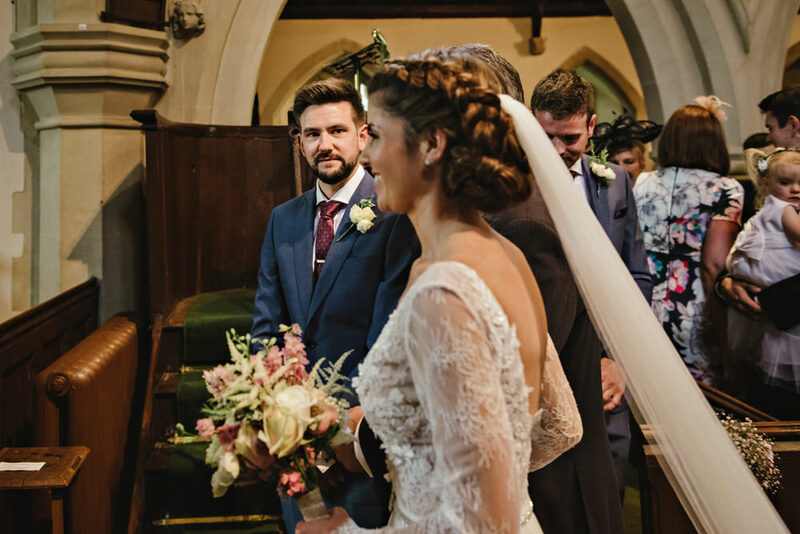 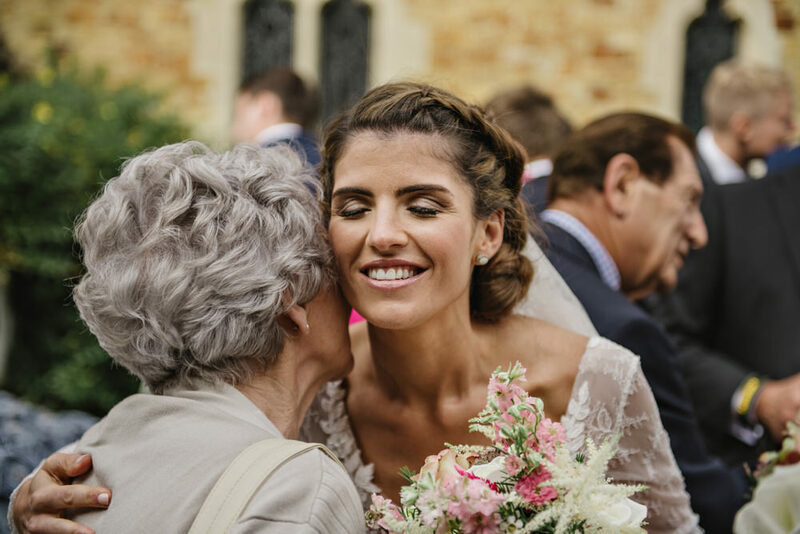 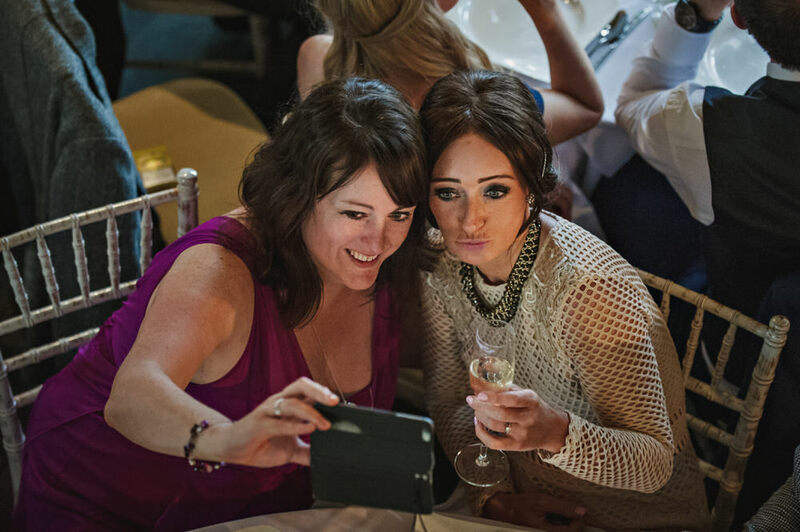 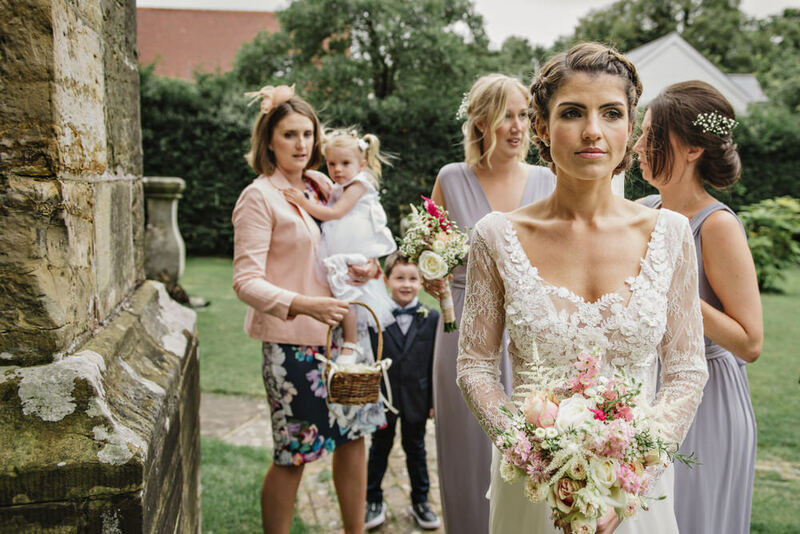 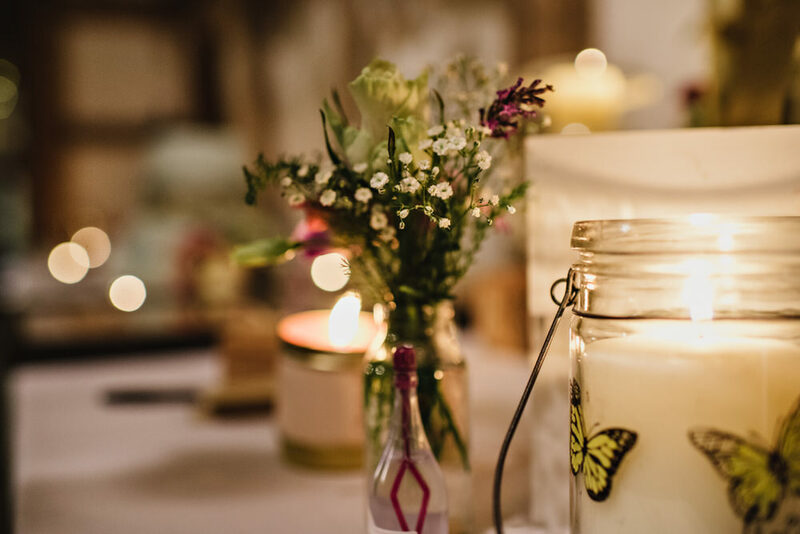 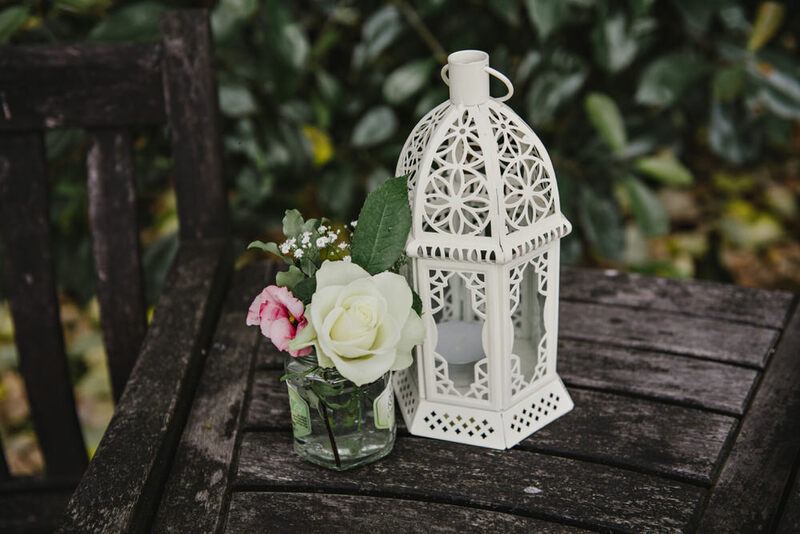 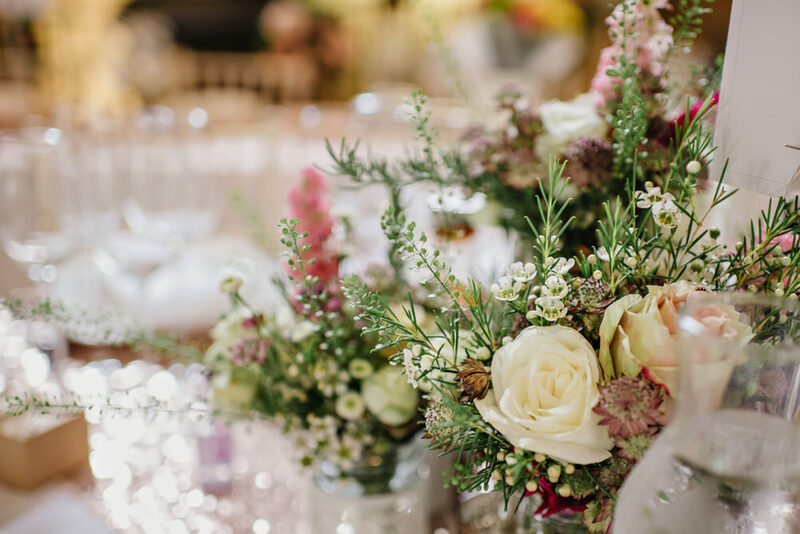 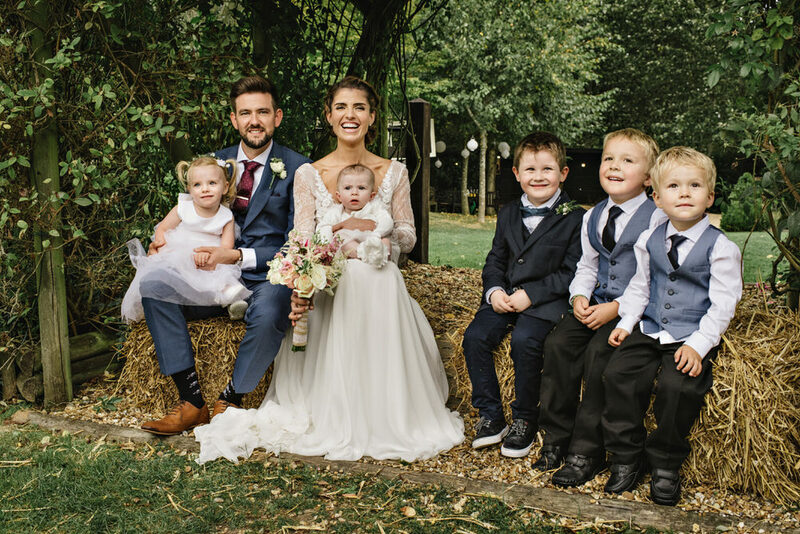 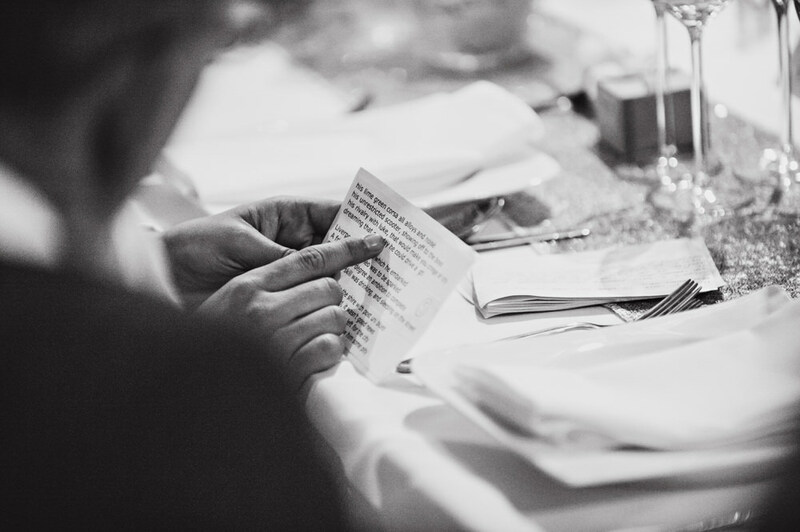 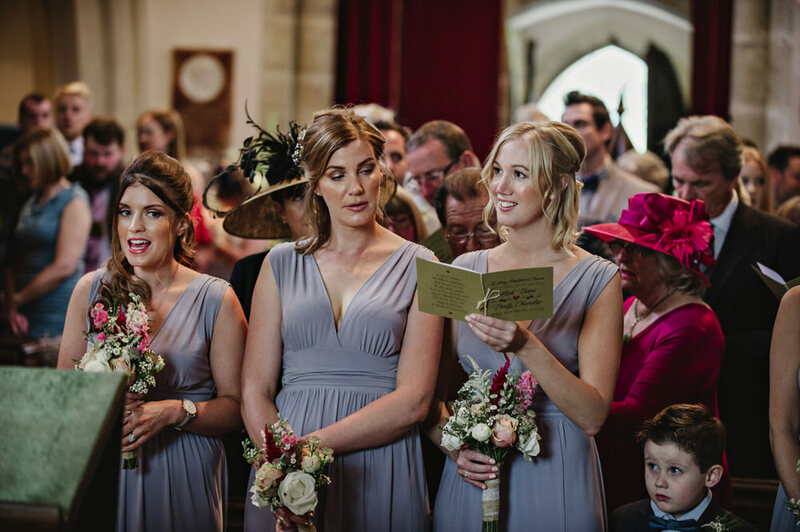 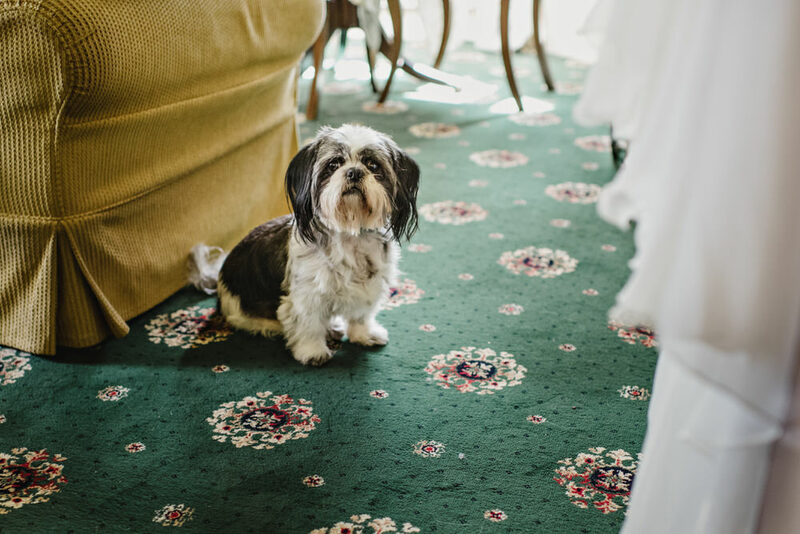 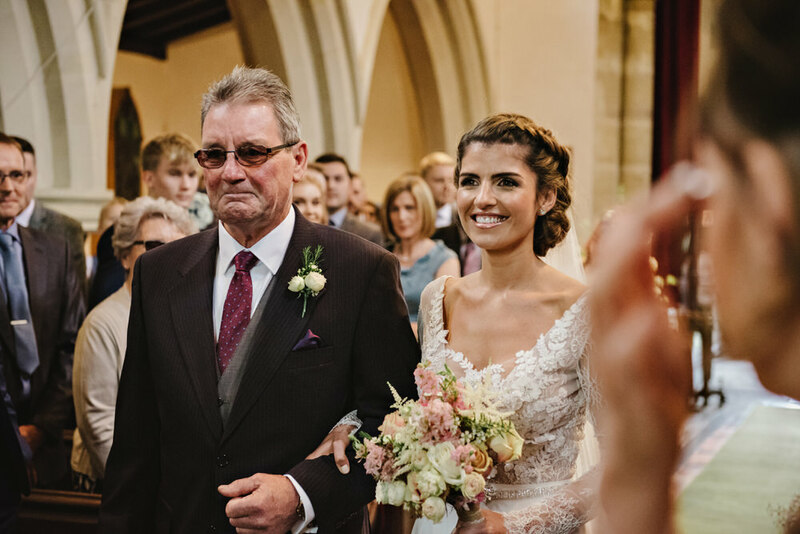 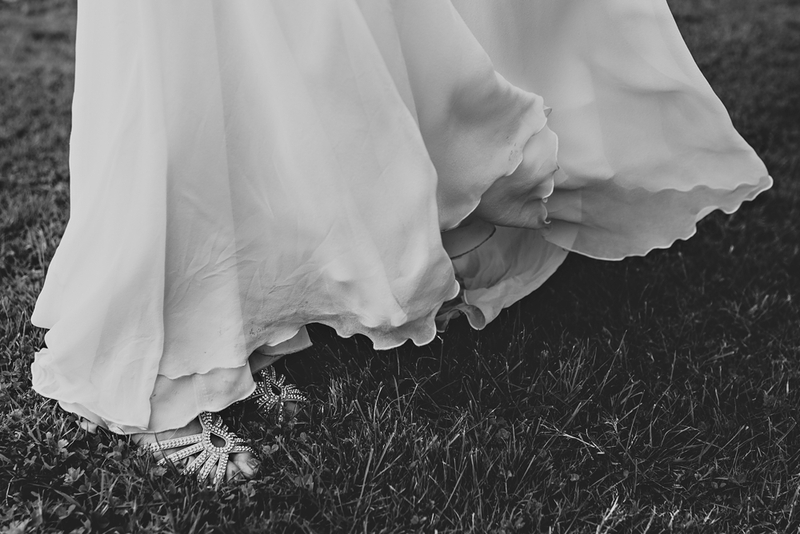 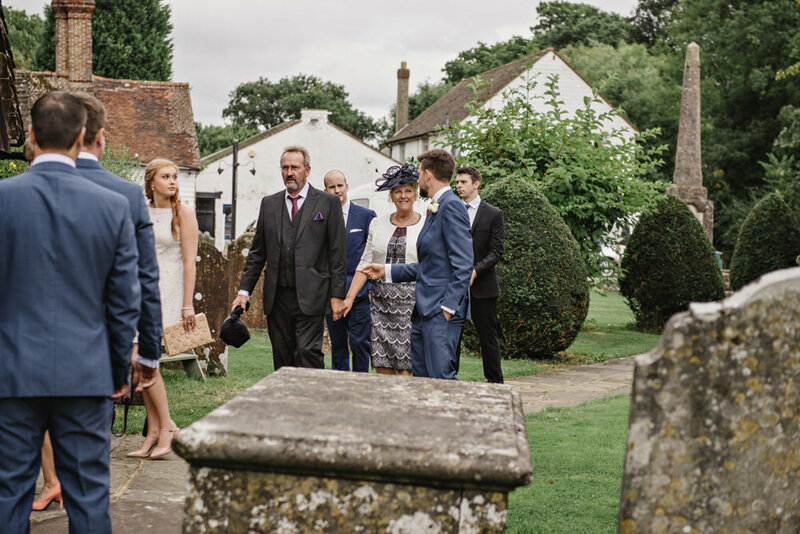 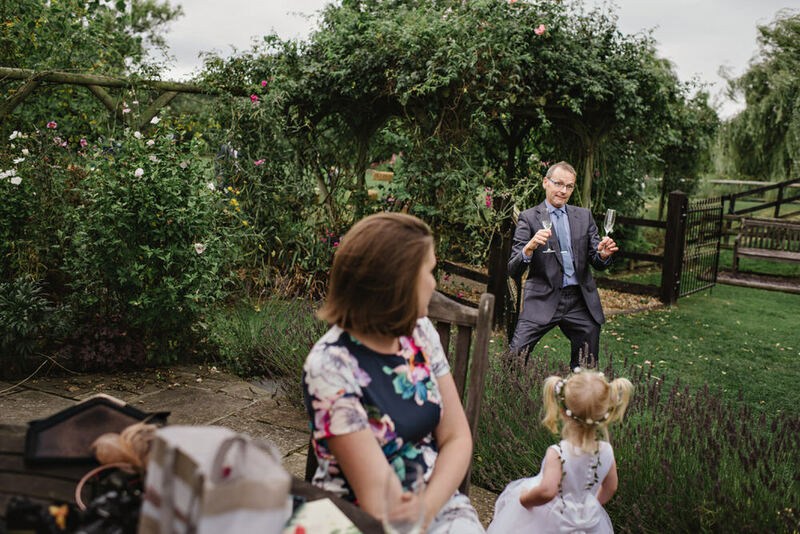 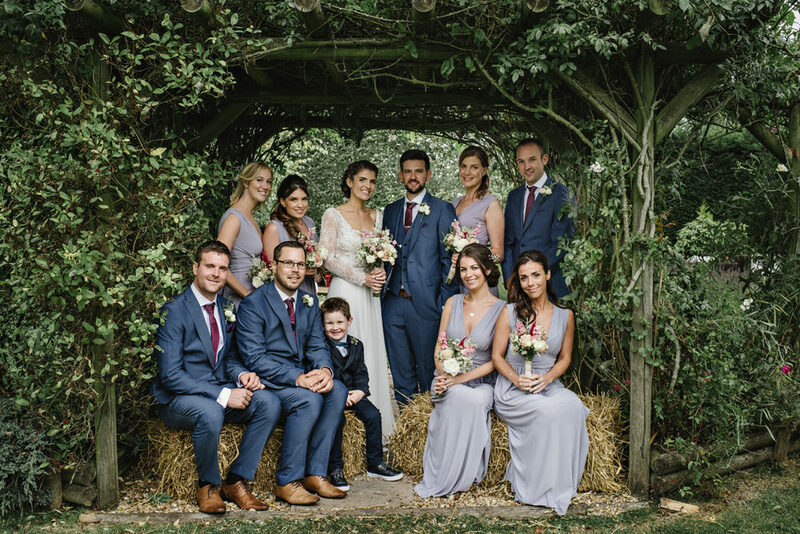 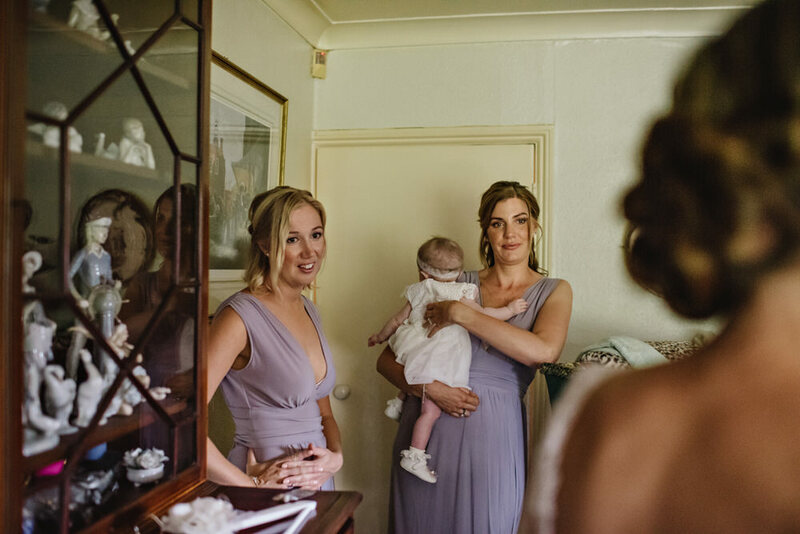 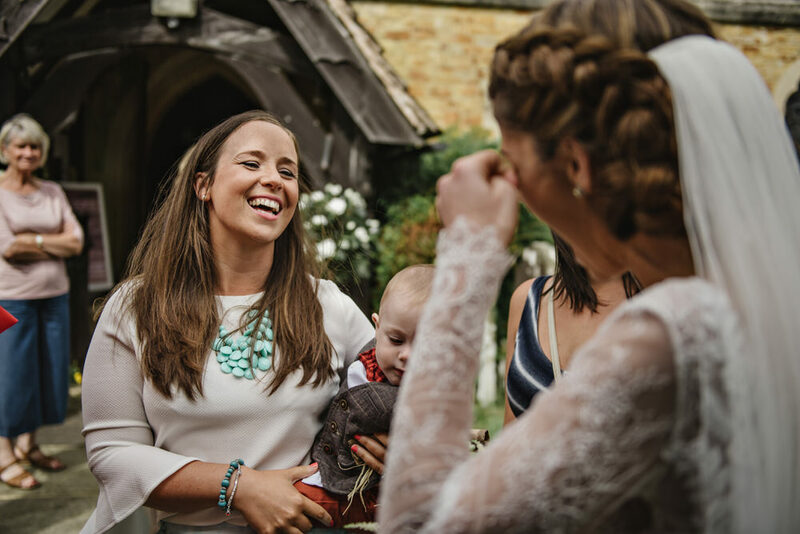 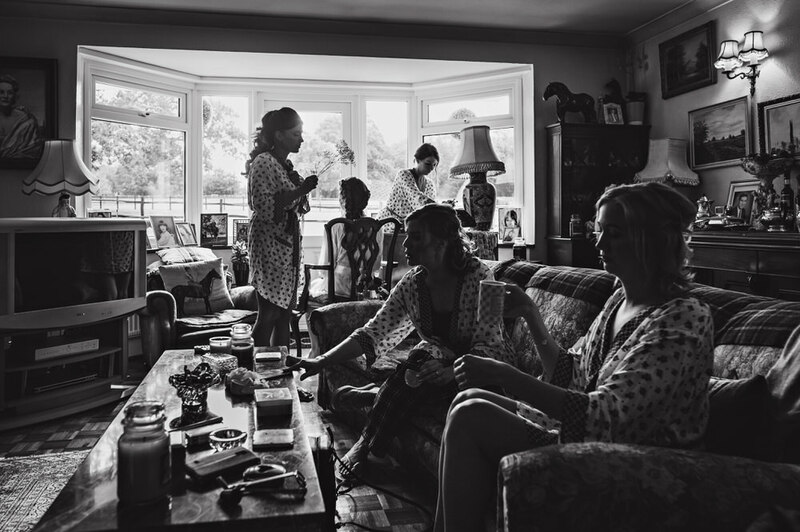 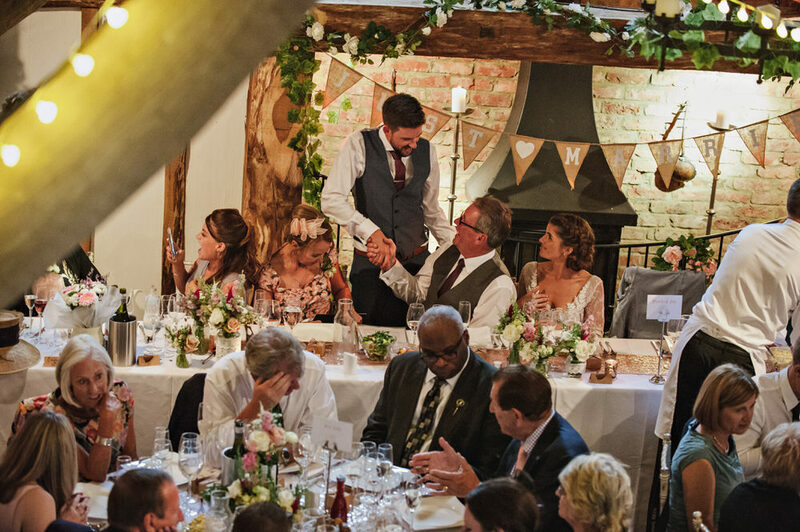 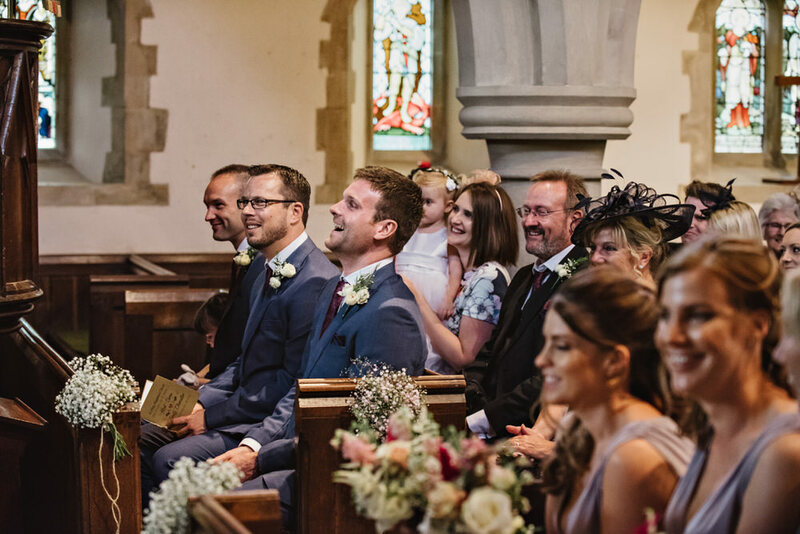 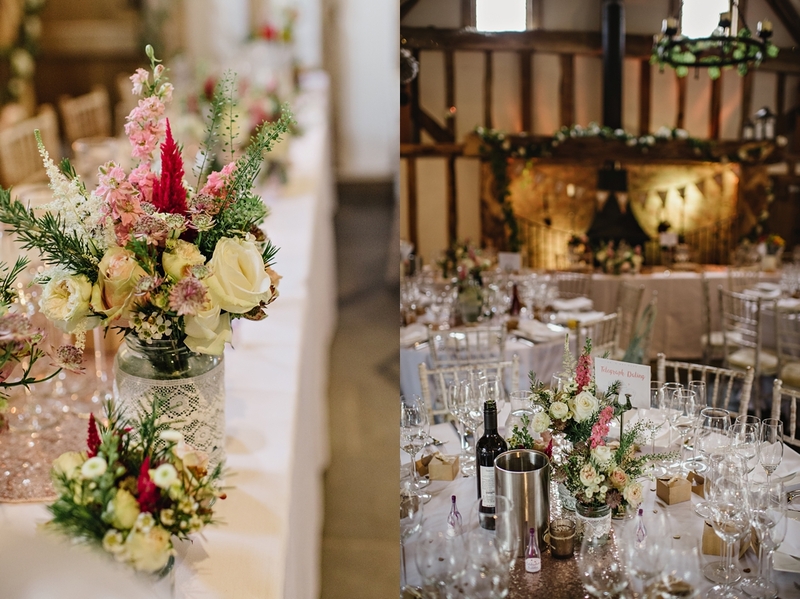 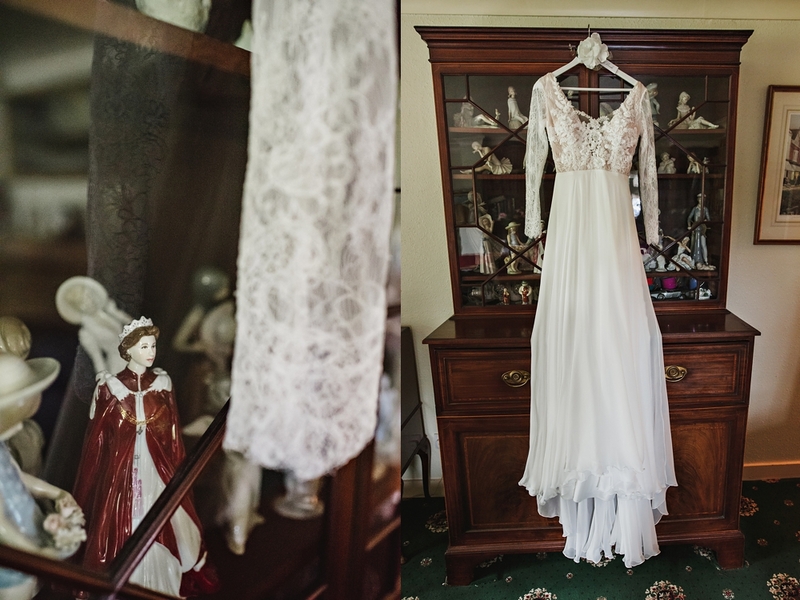 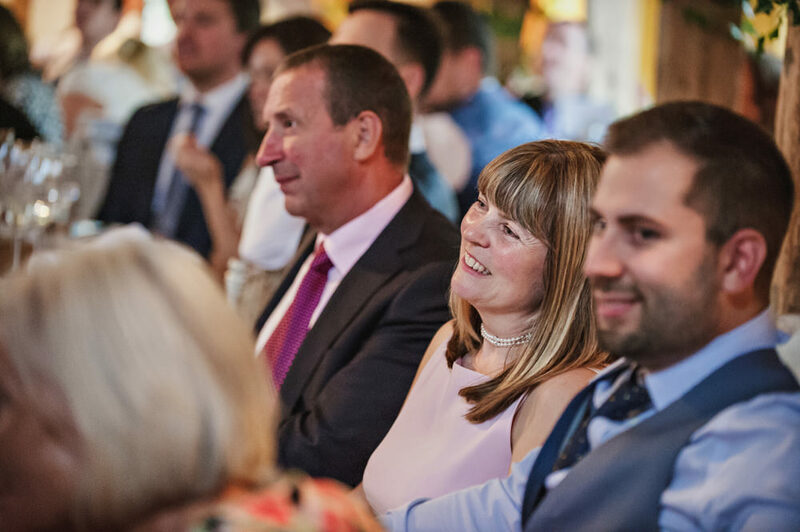 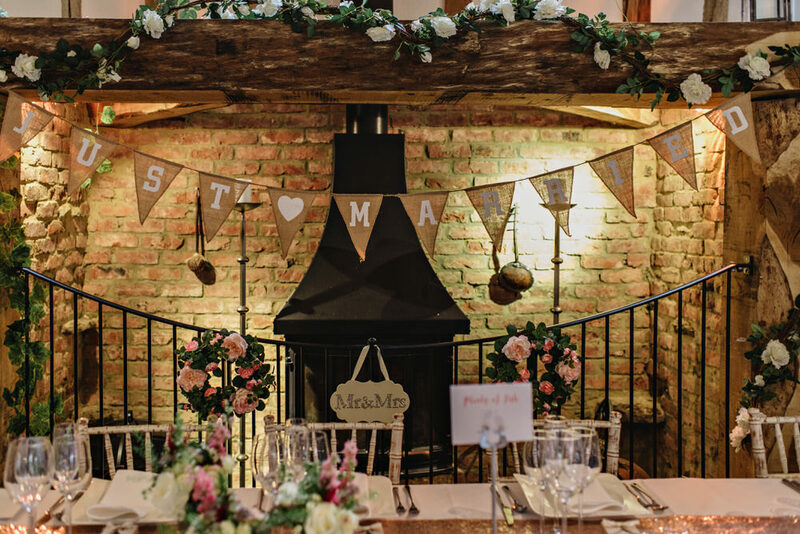 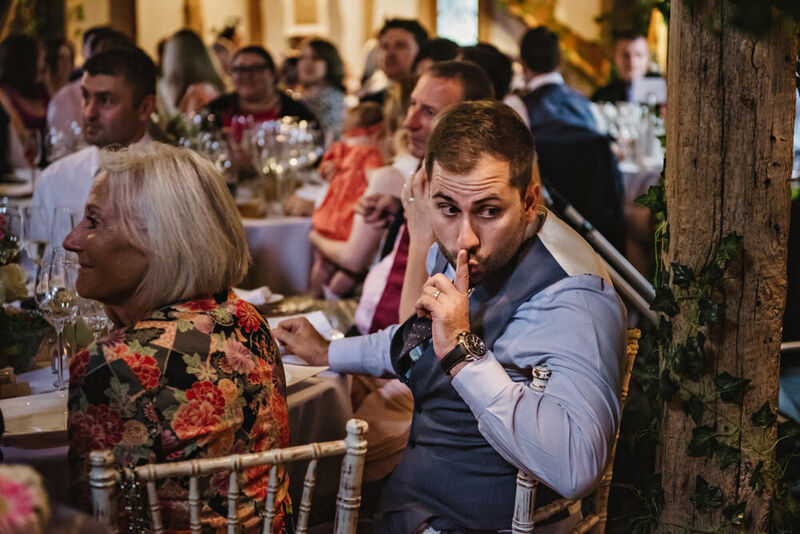 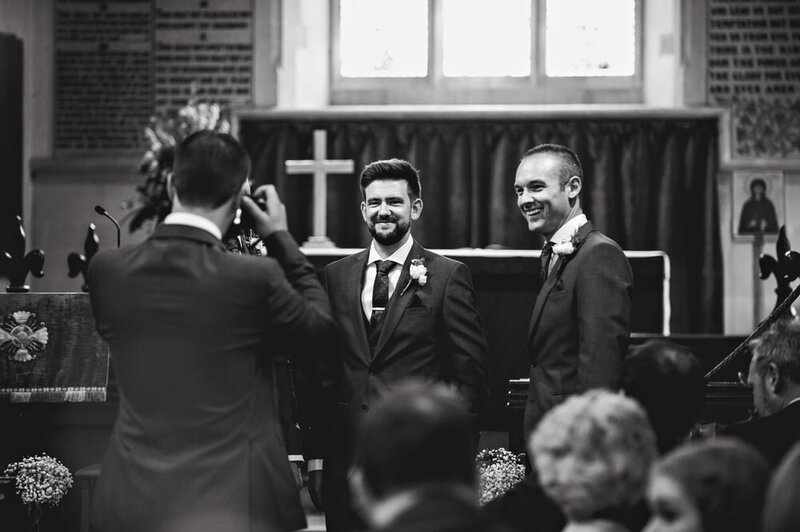 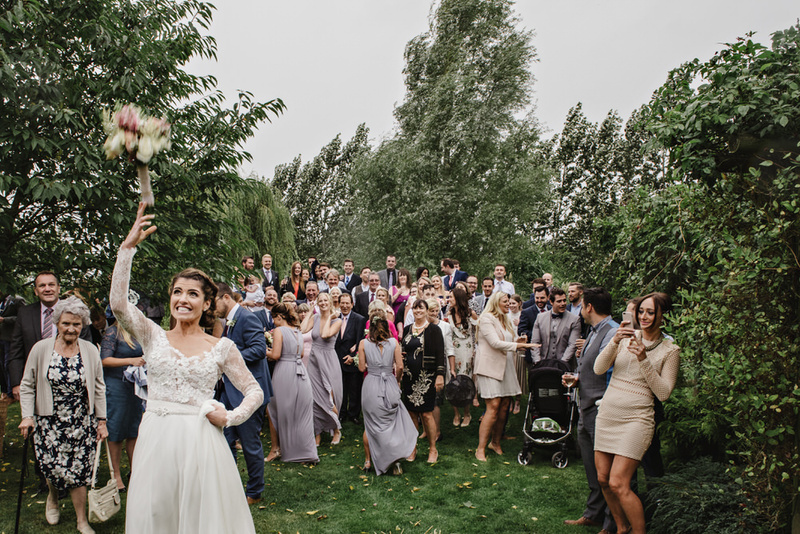 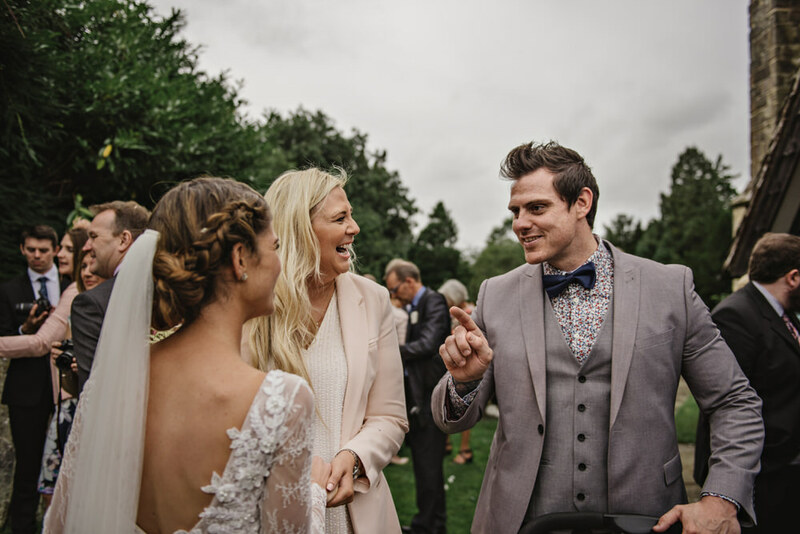 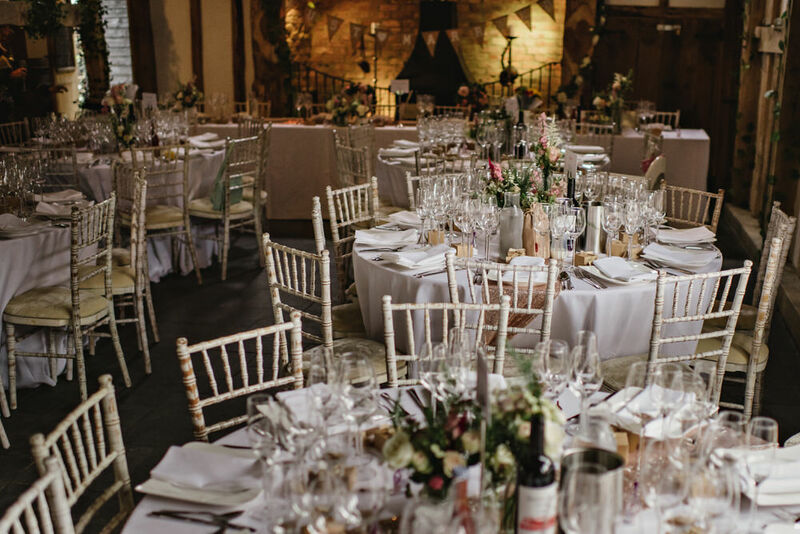 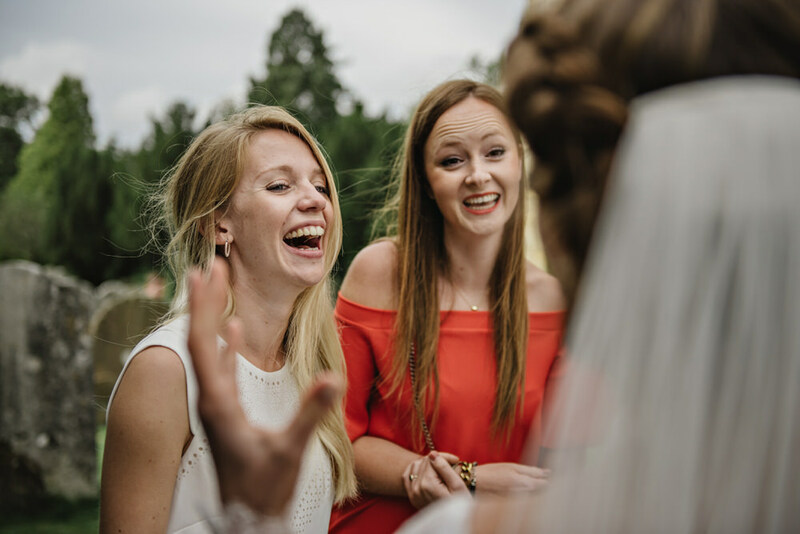 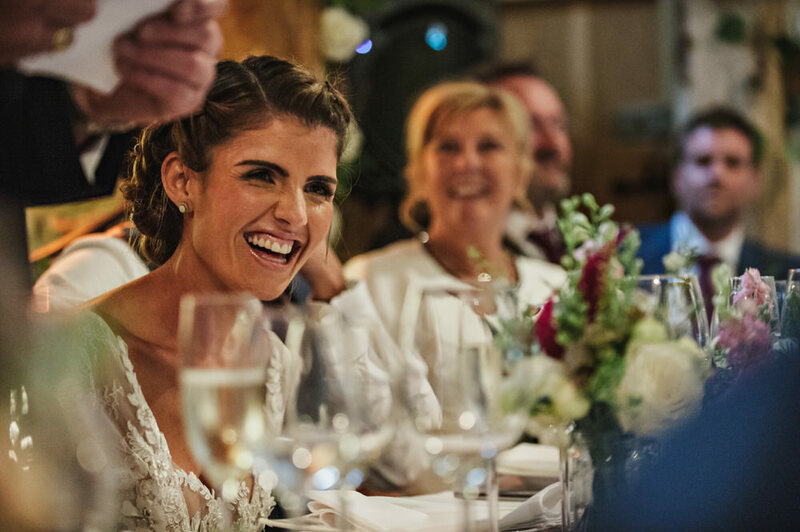 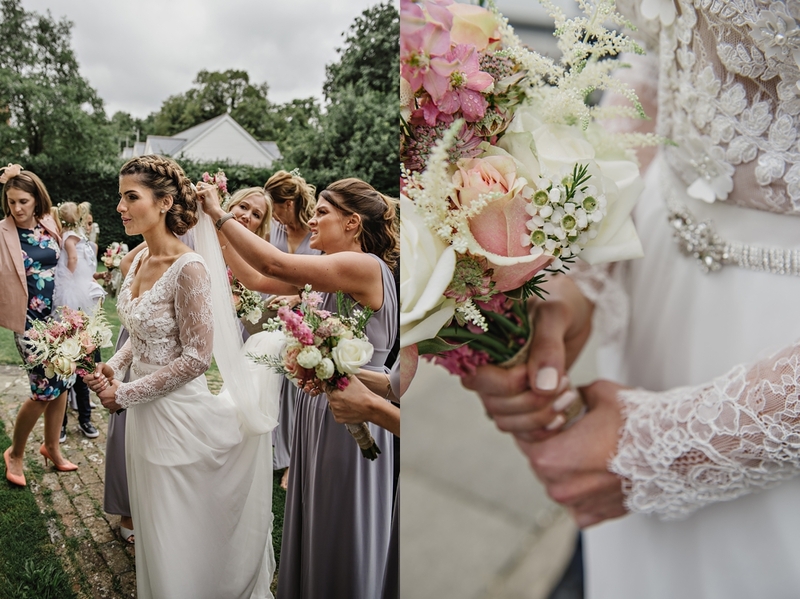 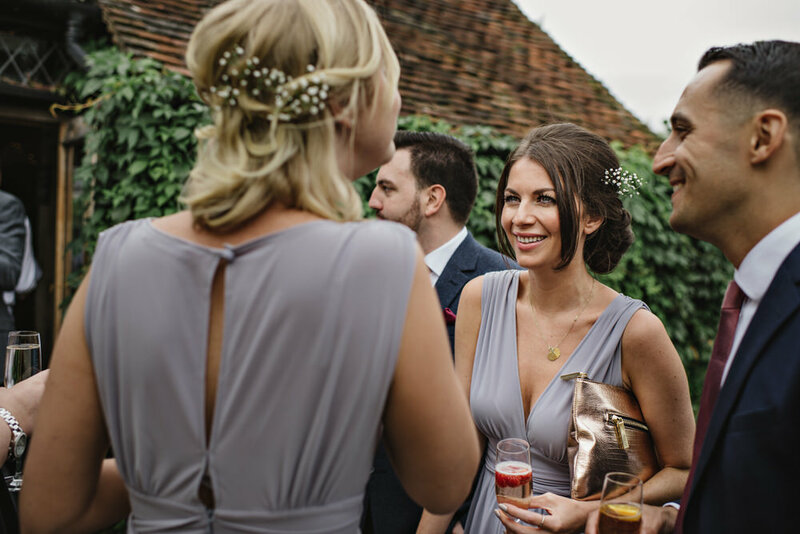 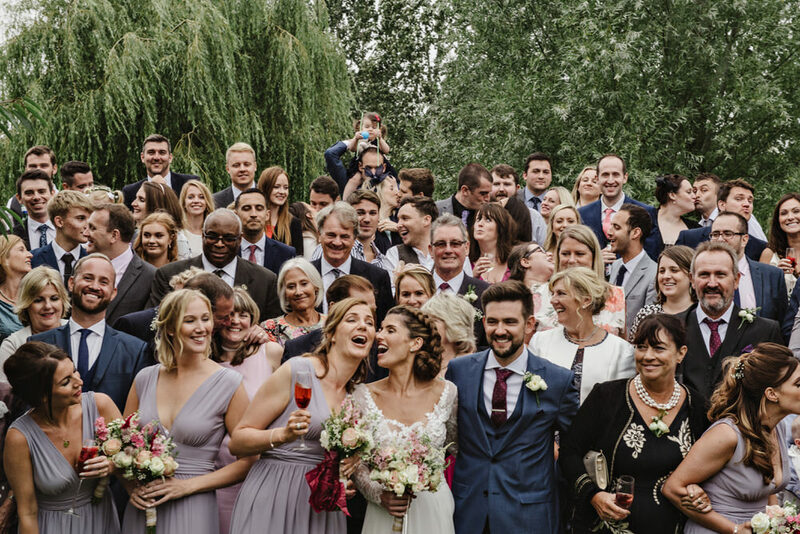 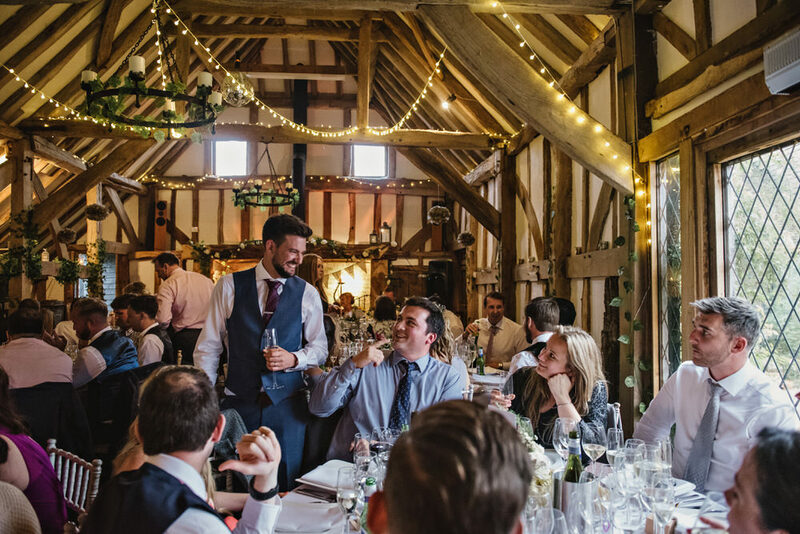 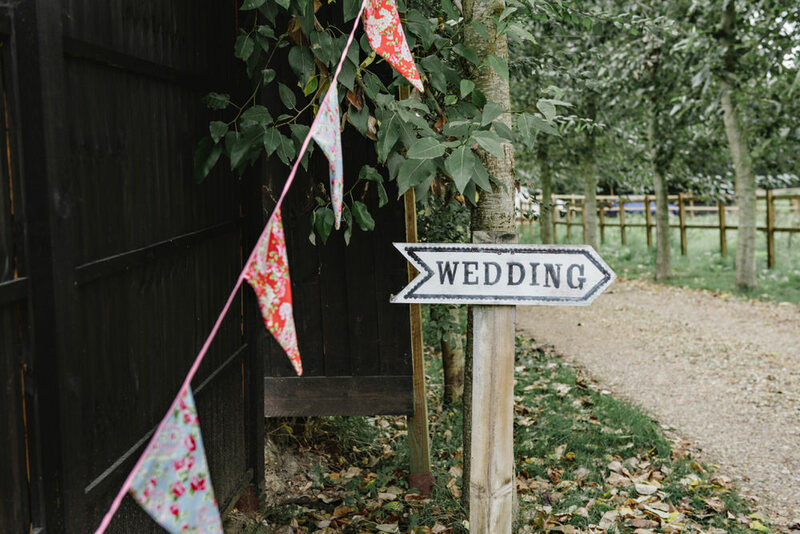 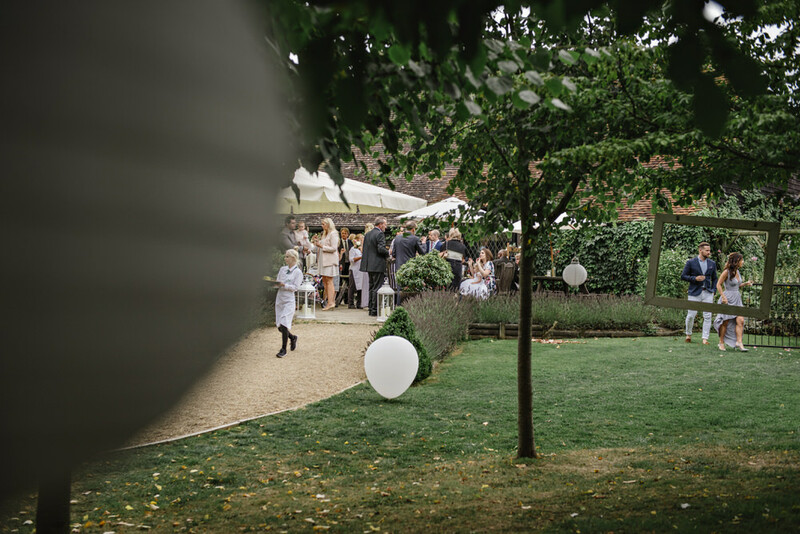 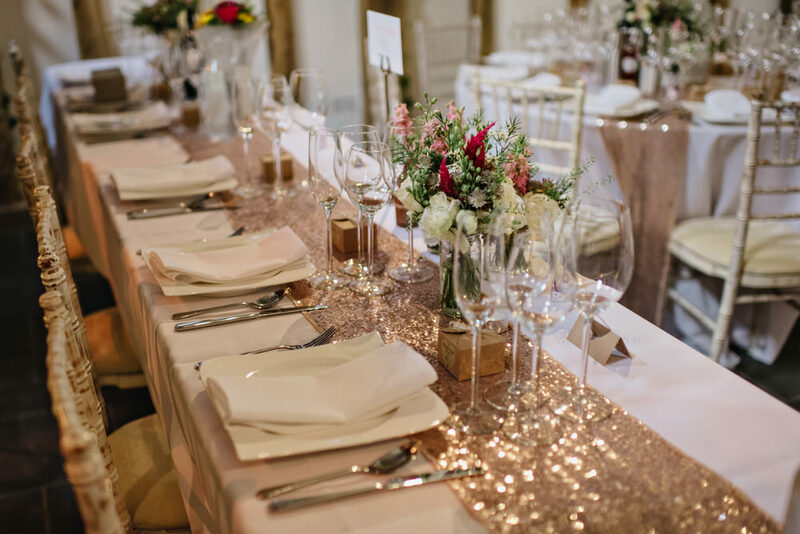 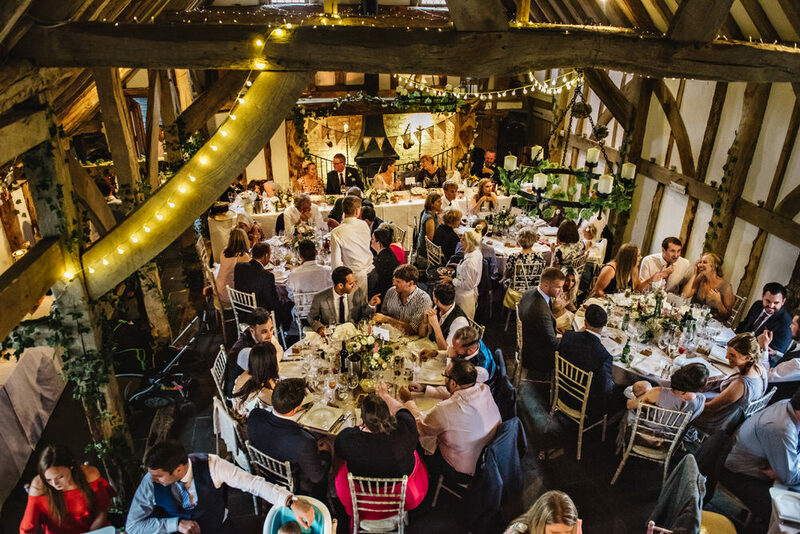 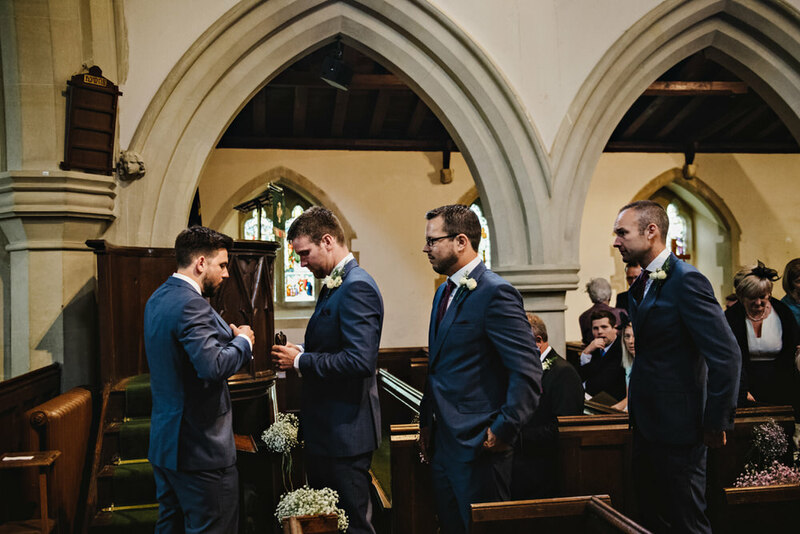 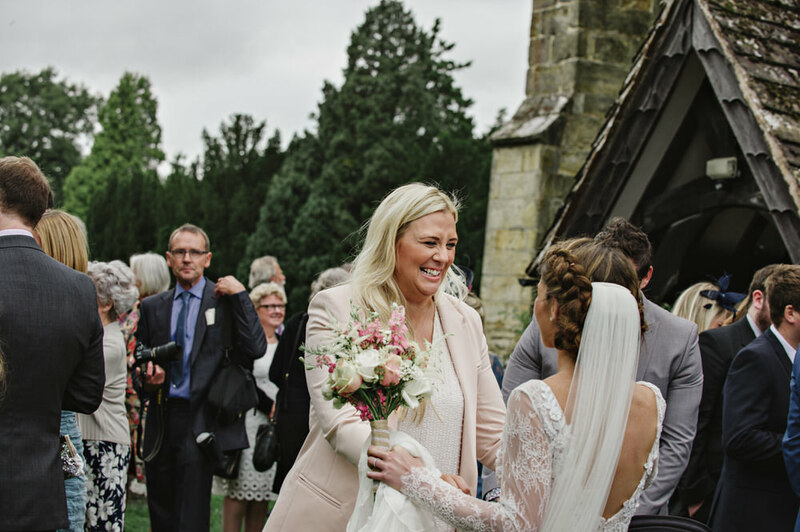 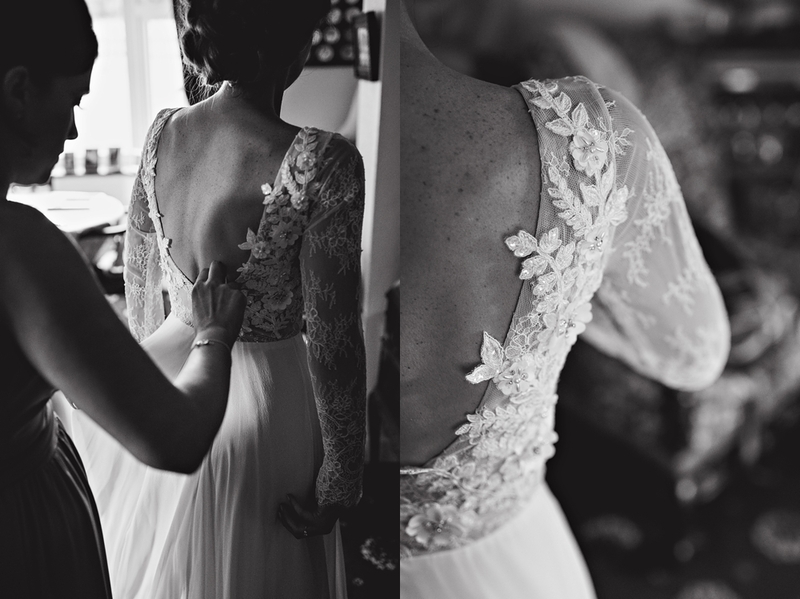 There was quite a gathering going on with most of Emily’s immediate family and all the bridesmaids getting ready in one place ….. needless to say the atmosphere was buzzing with excitement. 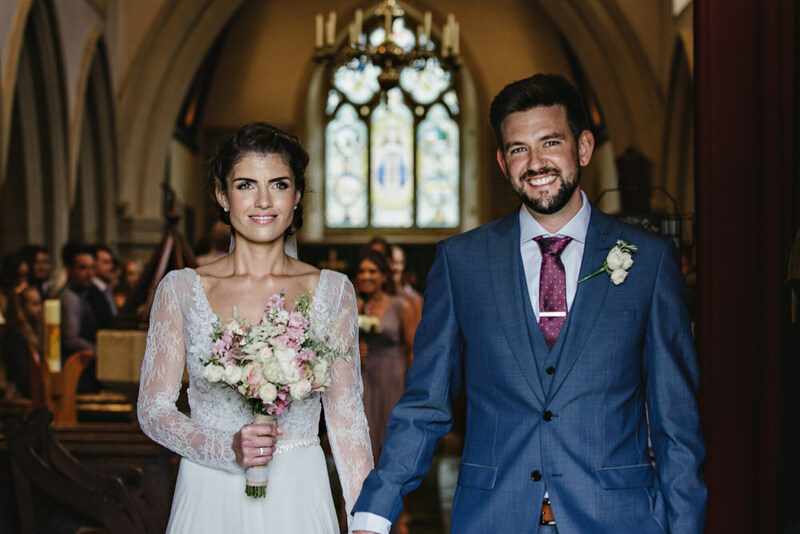 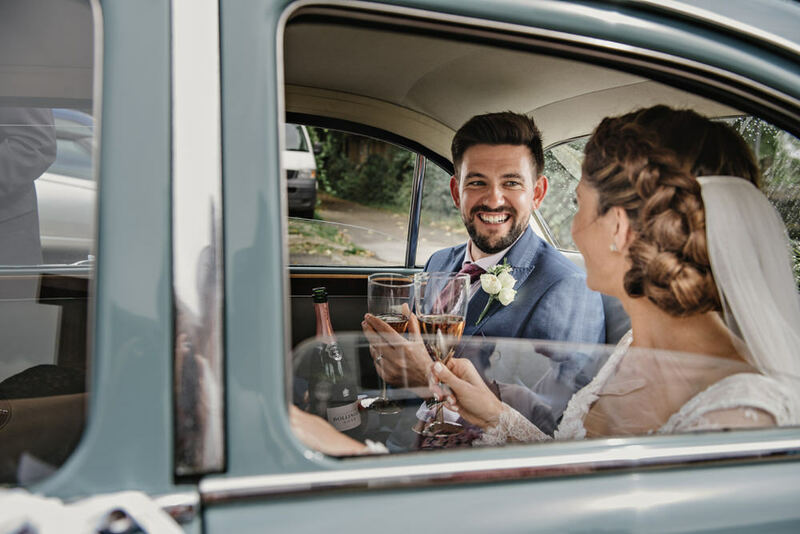 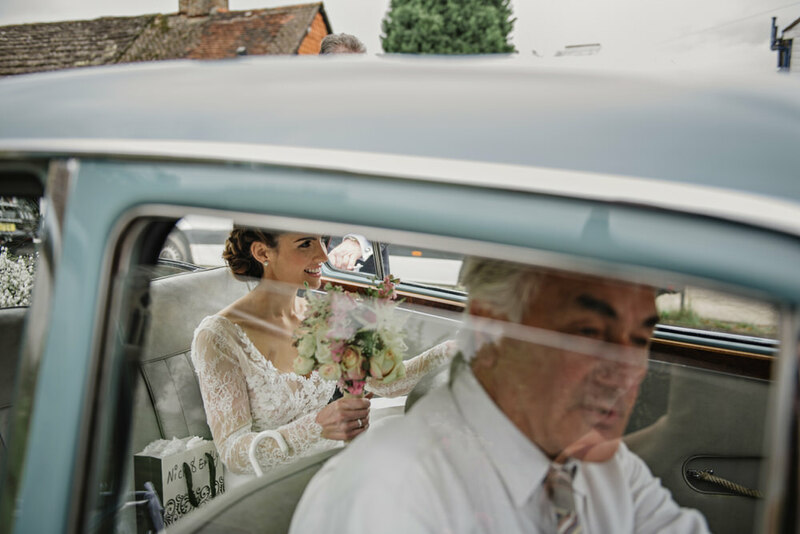 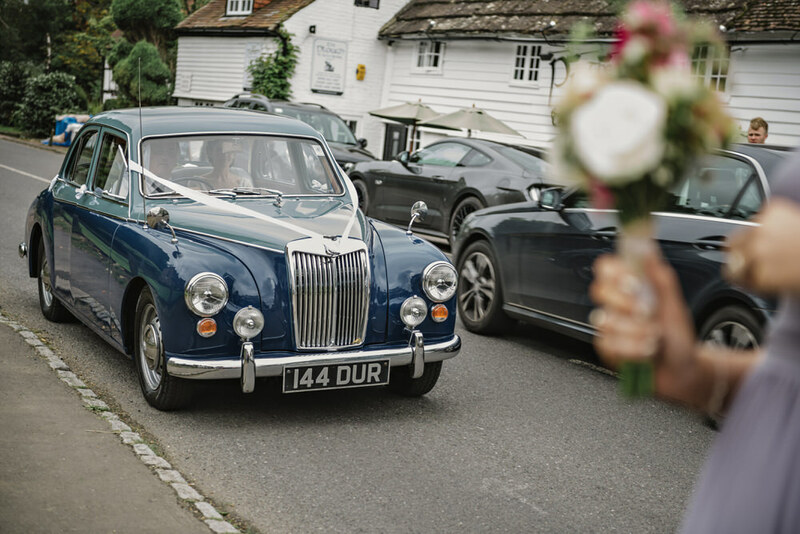 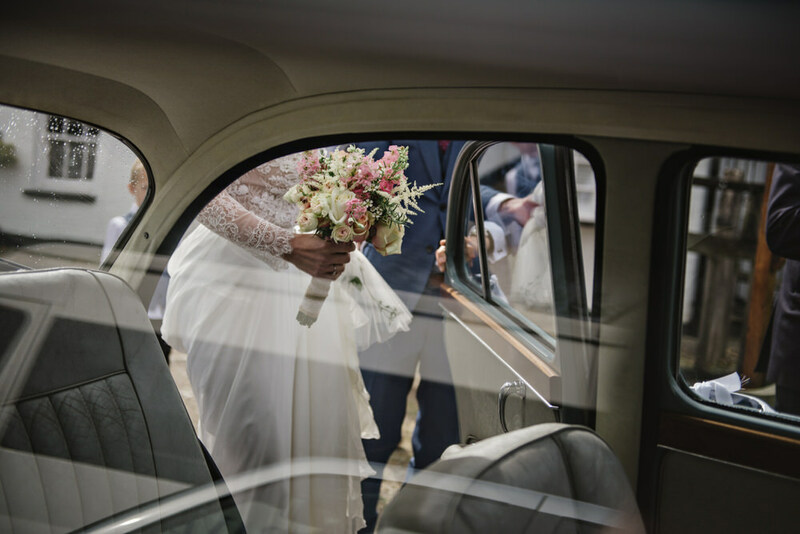 Emily arrived at the beautiful old church at Rusper in a gorgeous vintage car which was later used to ferry Emily and Nick to the farm. 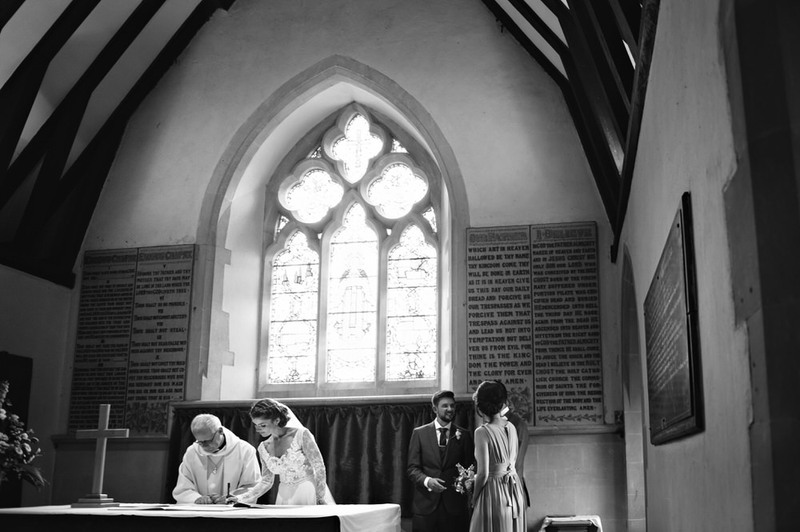 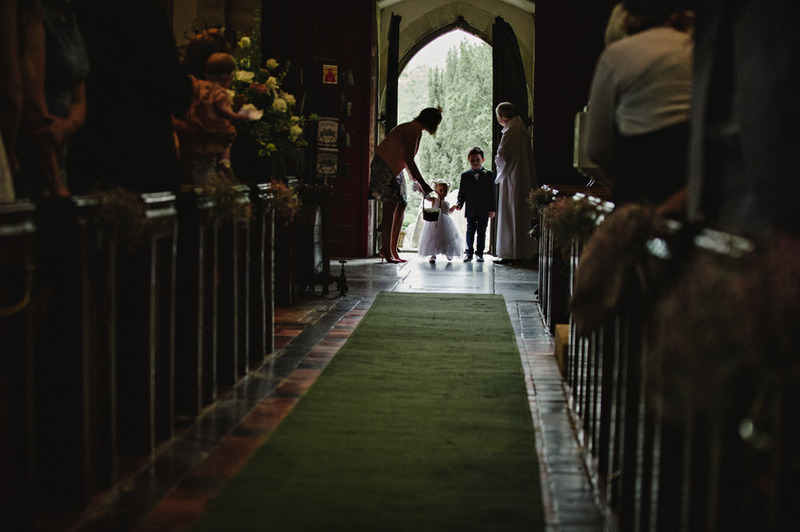 I photograph all kinds of weddings and in all kinds of venues but the vicar at Rusper was one of the nicest I’ve met, being kind and accommodating to everyone including me as the photographer. 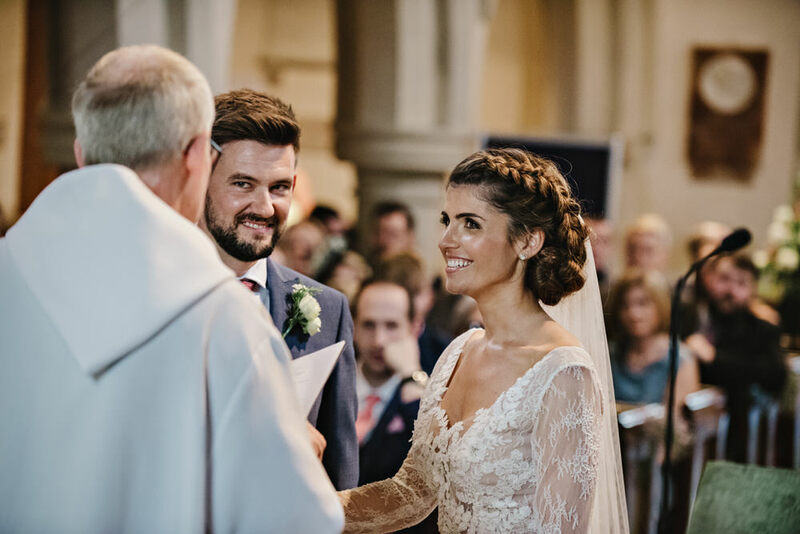 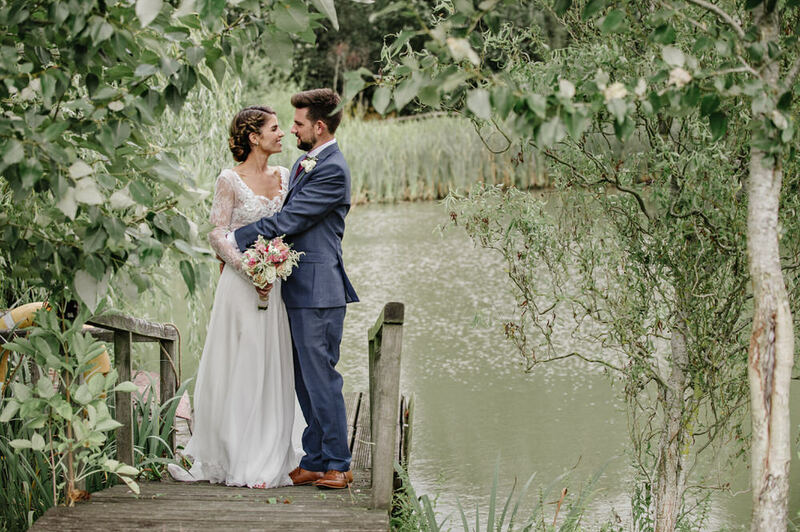 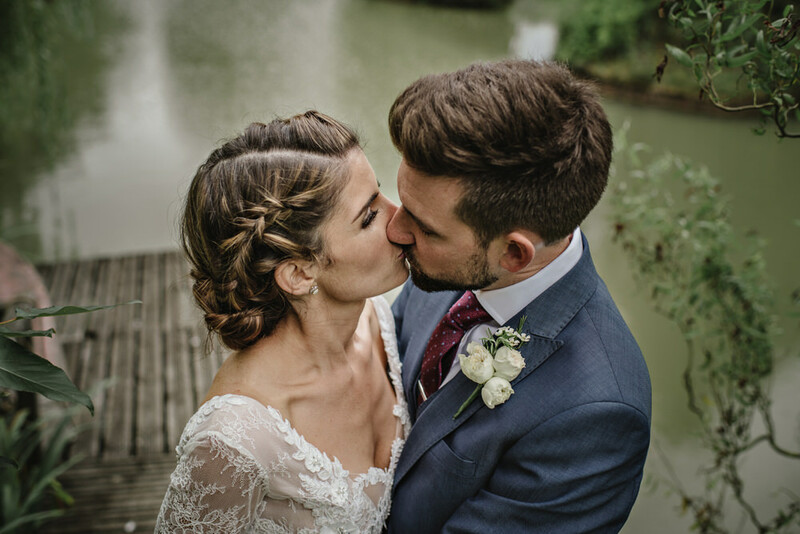 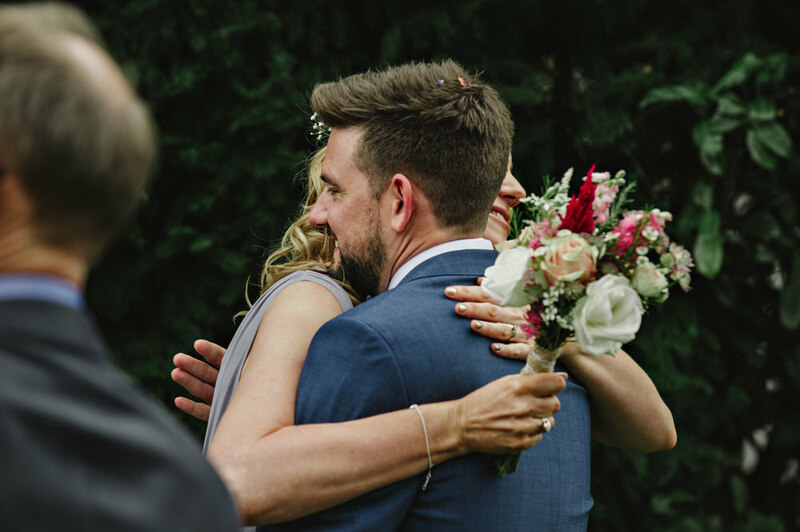 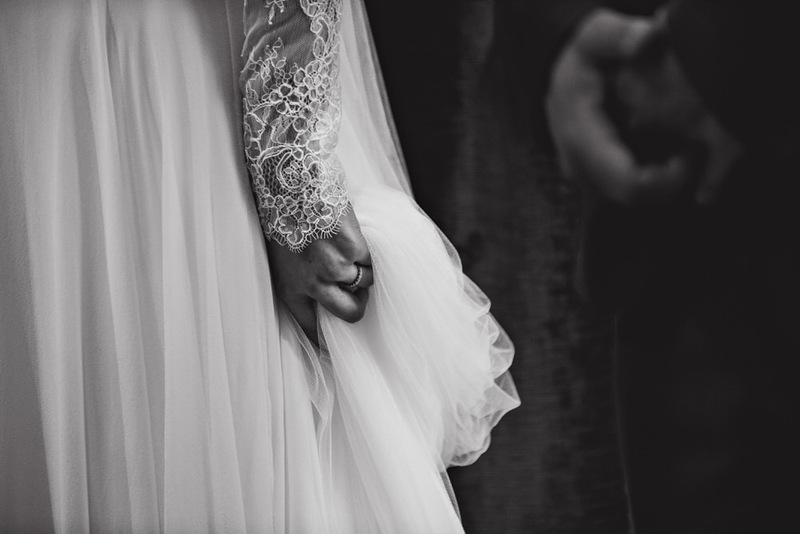 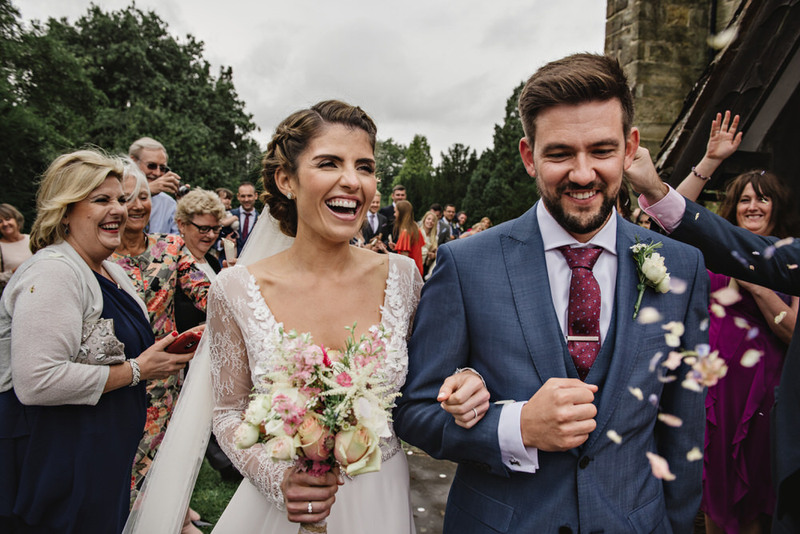 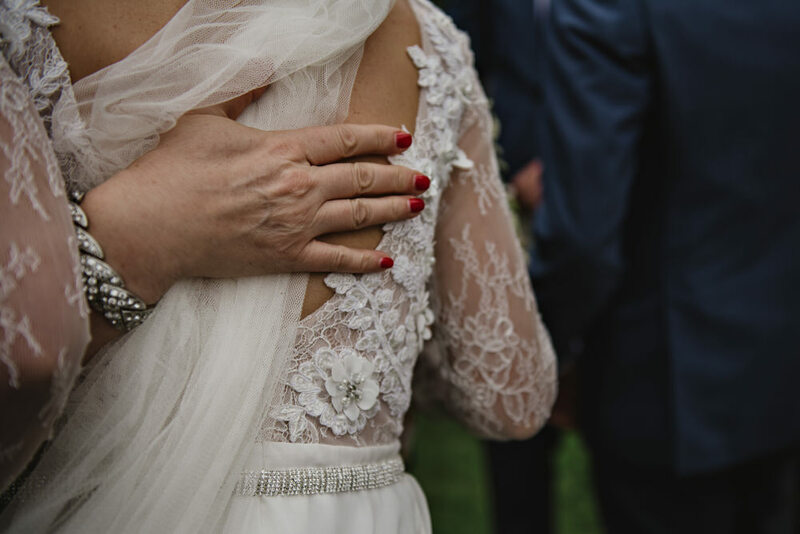 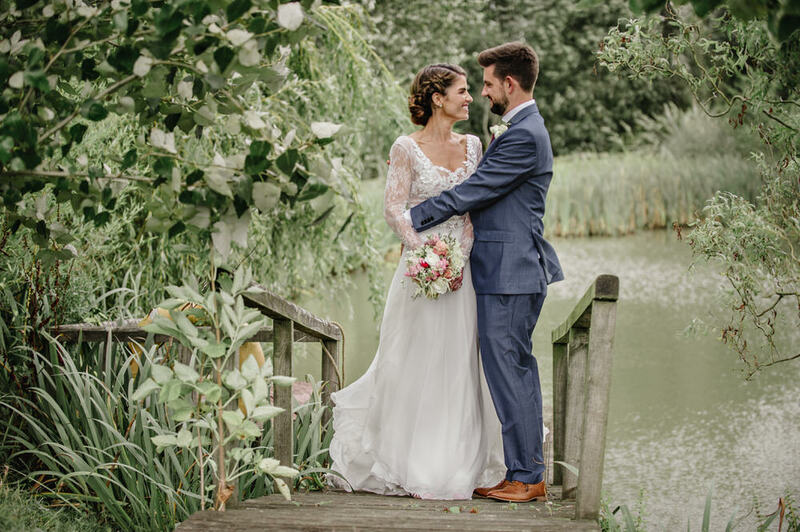 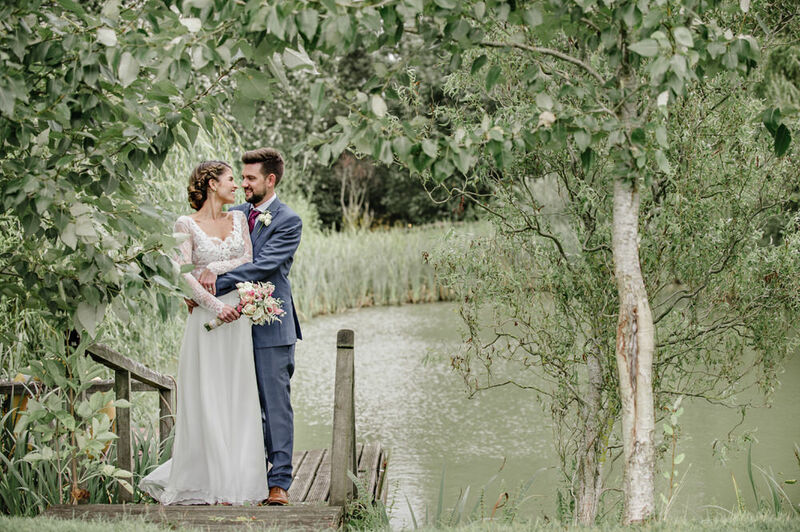 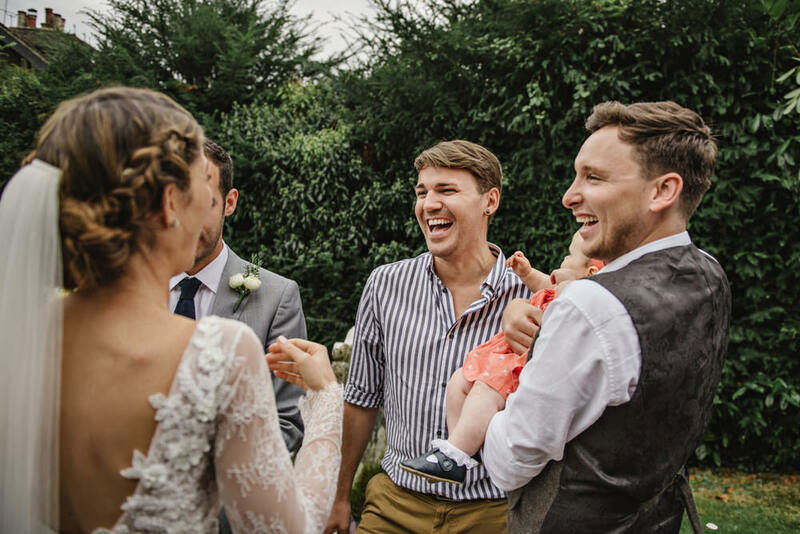 One of my favourite times of day is when couples are newly married and they get all the love and hugs from delighted family and friends, and there were hugs galore at Emily and Nick’s wedding. 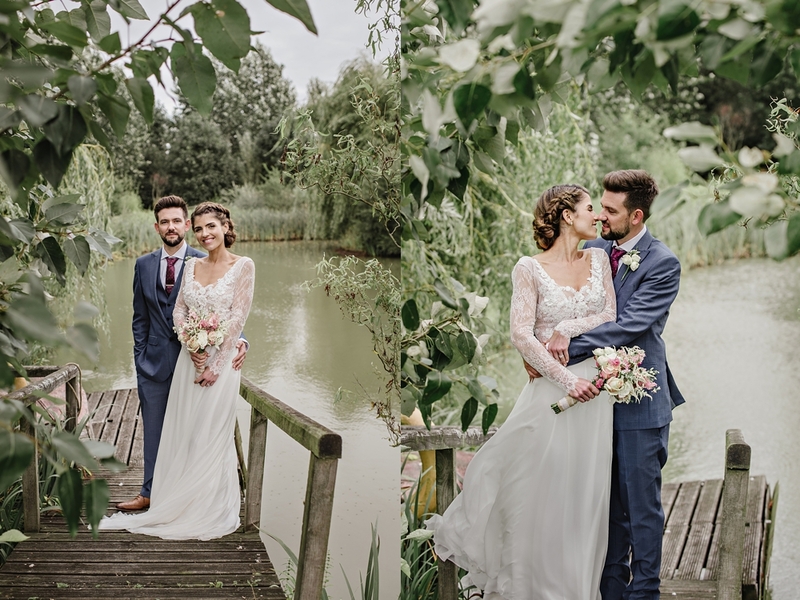 As is typical of September, the weather can be a bit unpredictable but that didn’t interfere with the day at all as everything is close to hand at Rumbolds Farm and we were able to go outside to make the most of the grounds…the rain very thoughtfully arrived during the speeches anyway. 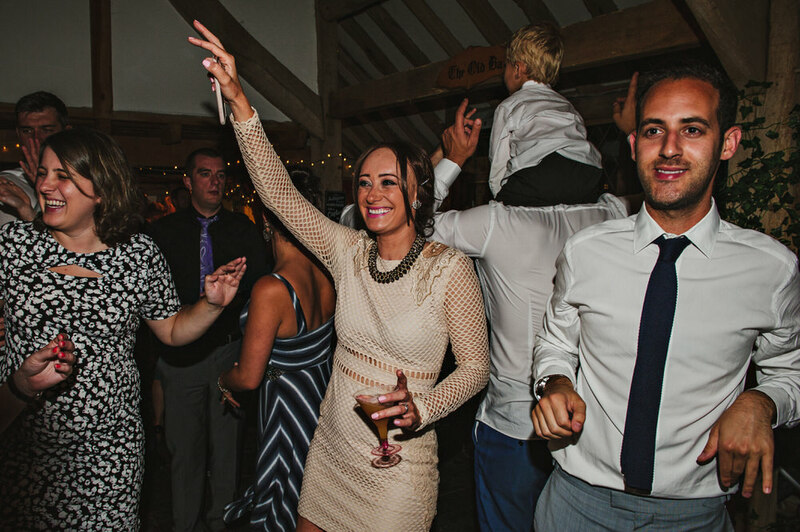 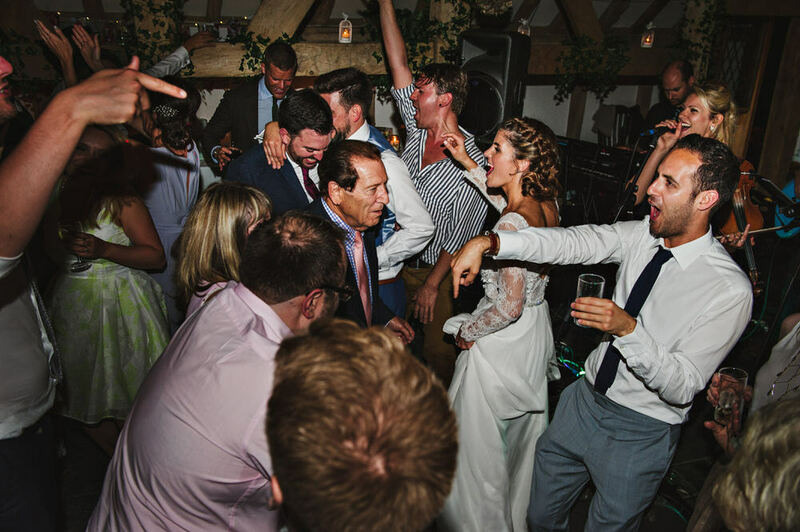 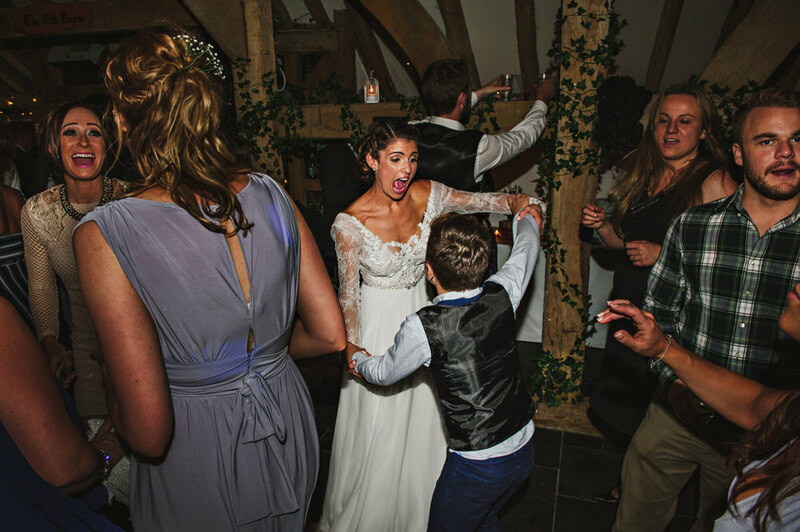 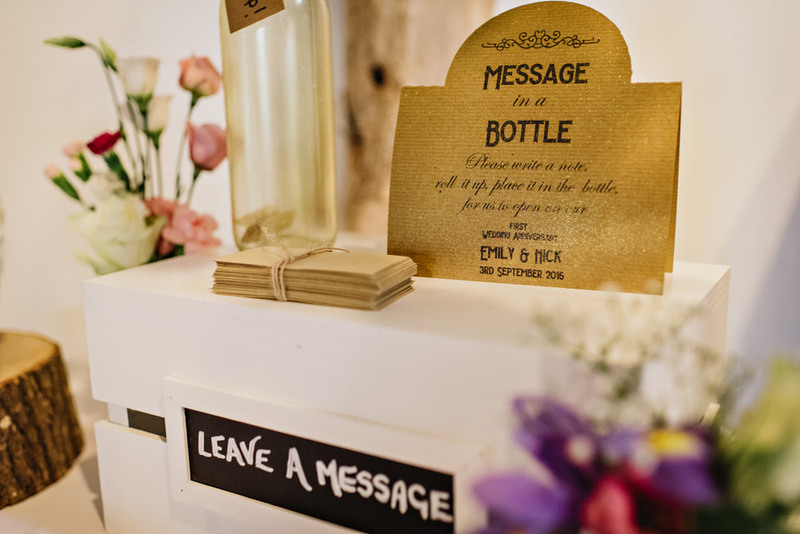 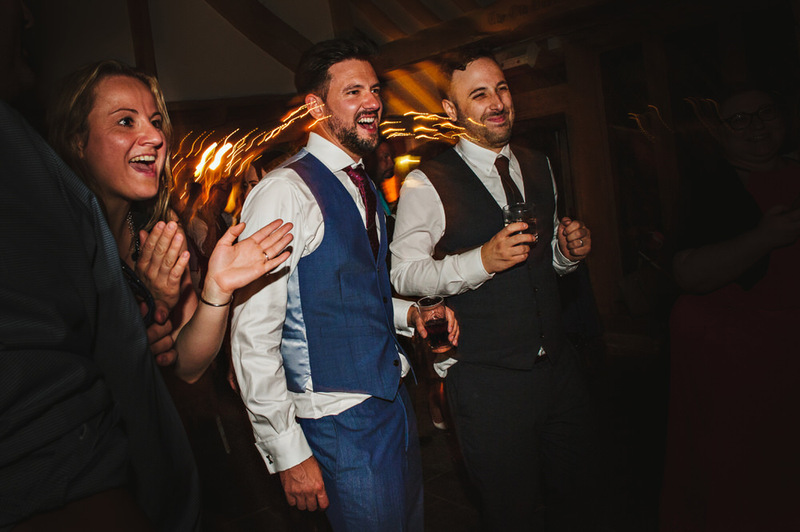 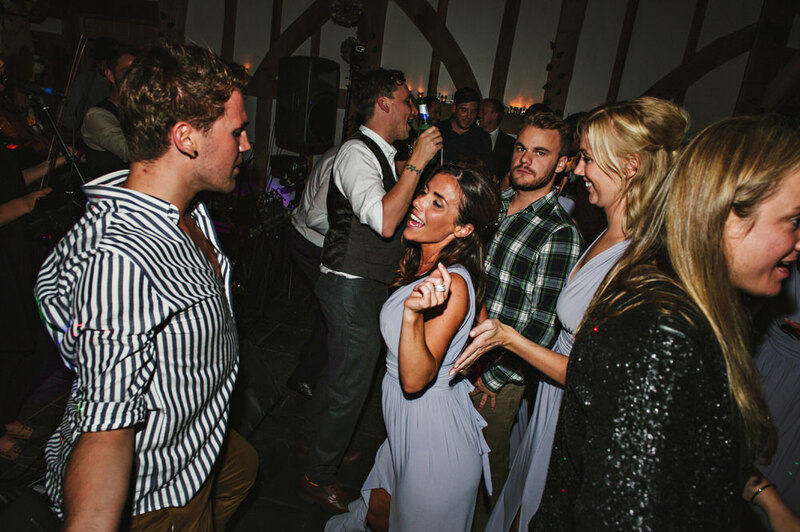 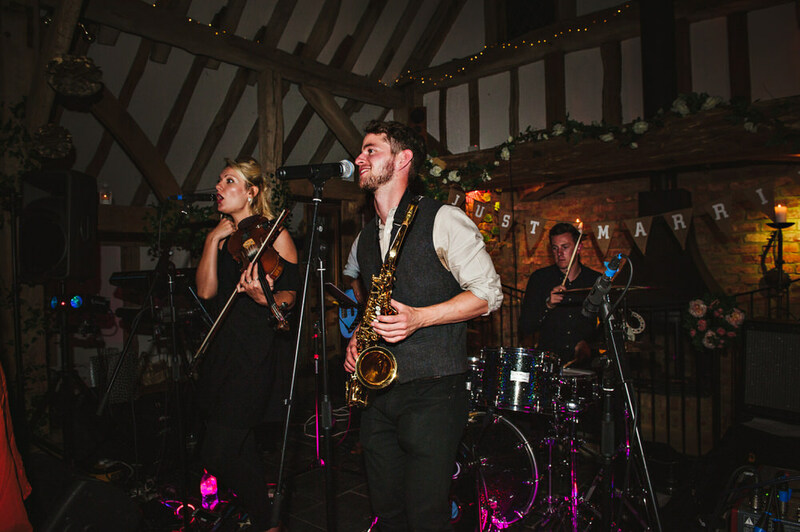 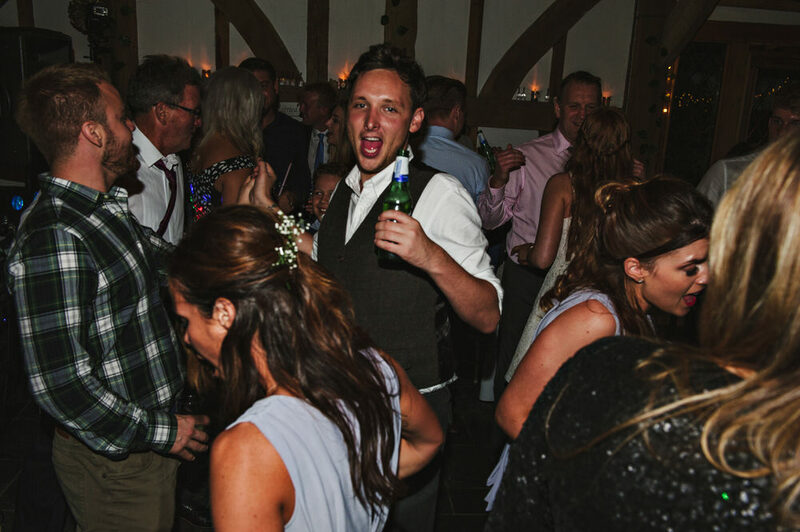 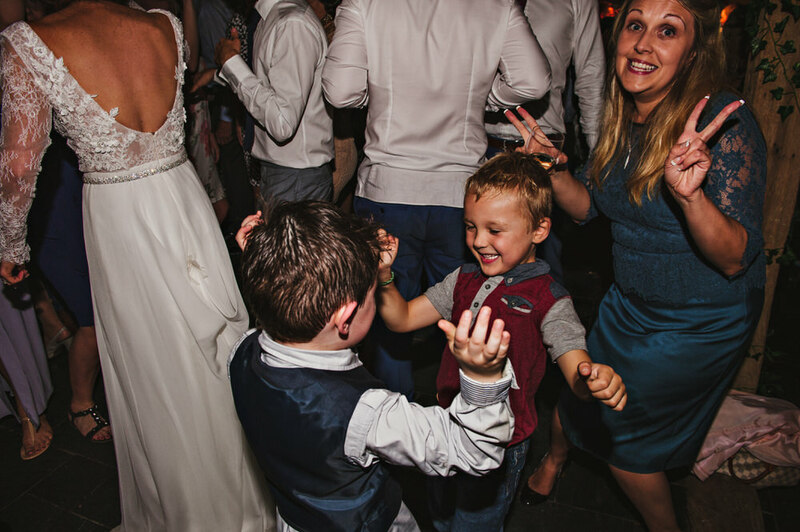 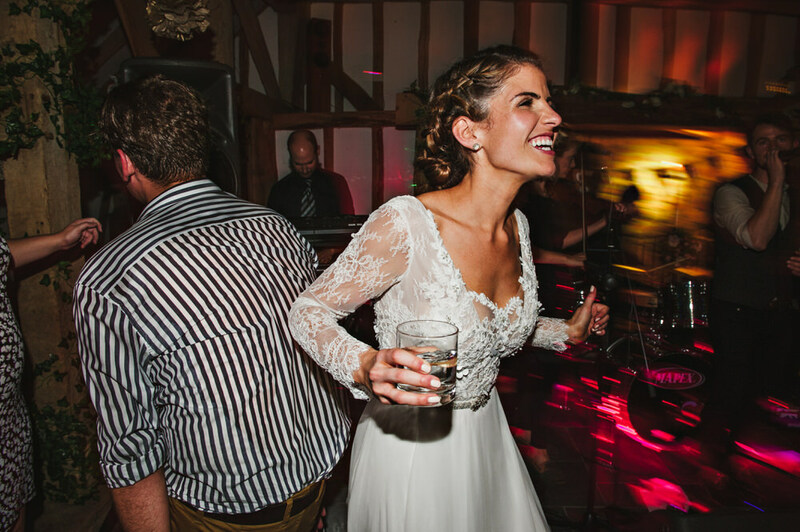 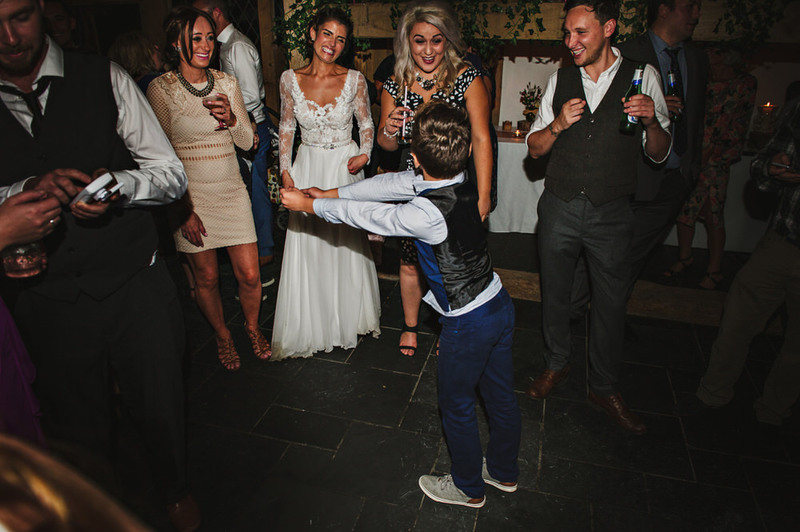 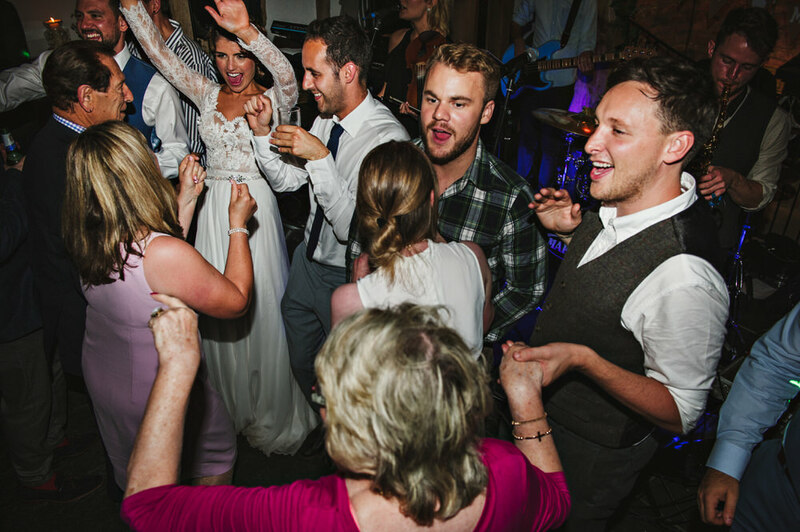 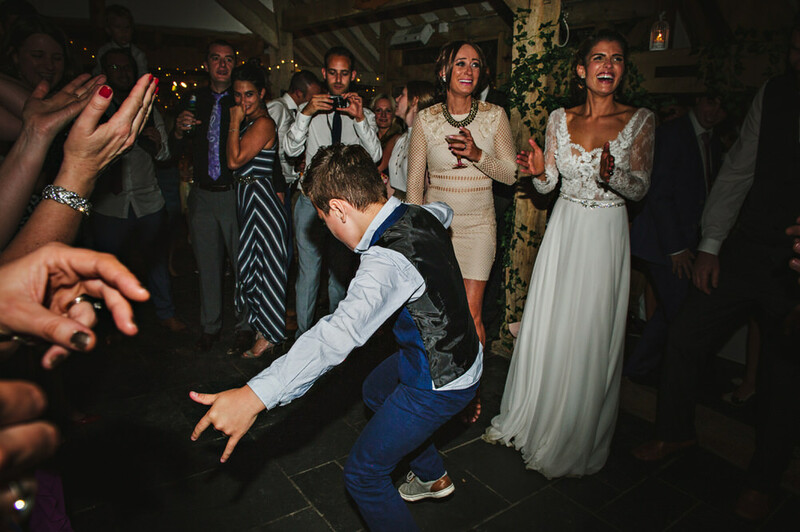 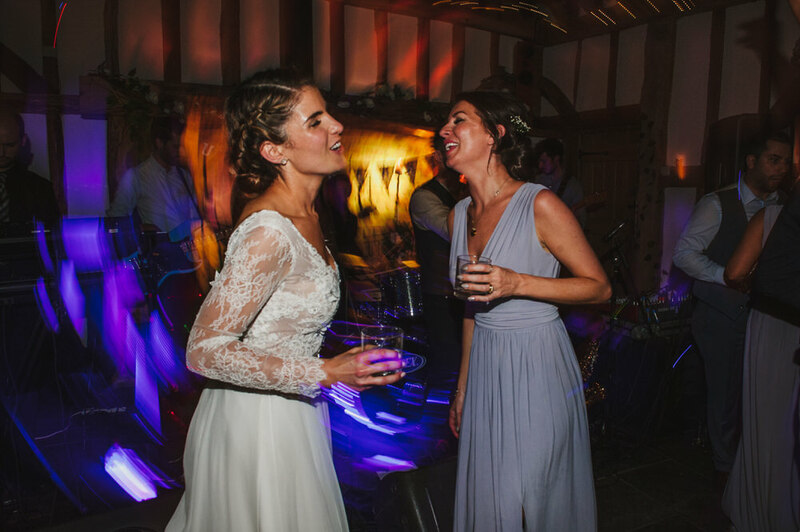 Something to take away from Emily and Nick’s wedding is to get your music sorted if you like a packed dance floor. 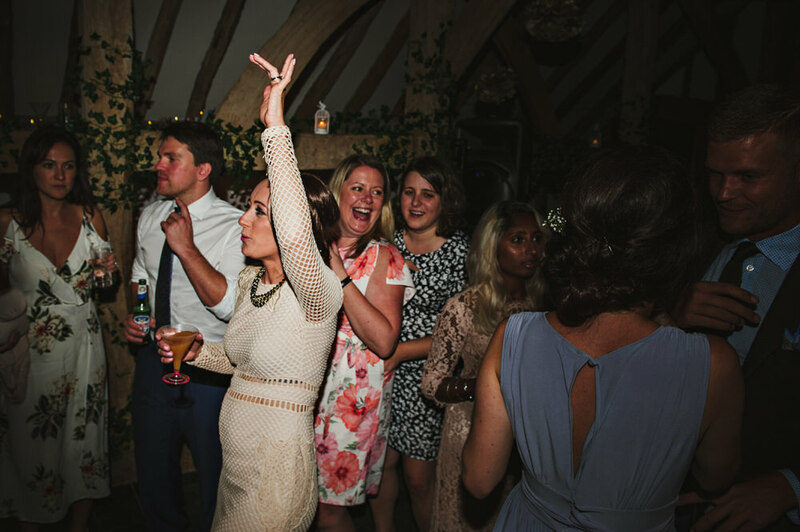 The band had everyone on their feet for most of the night. 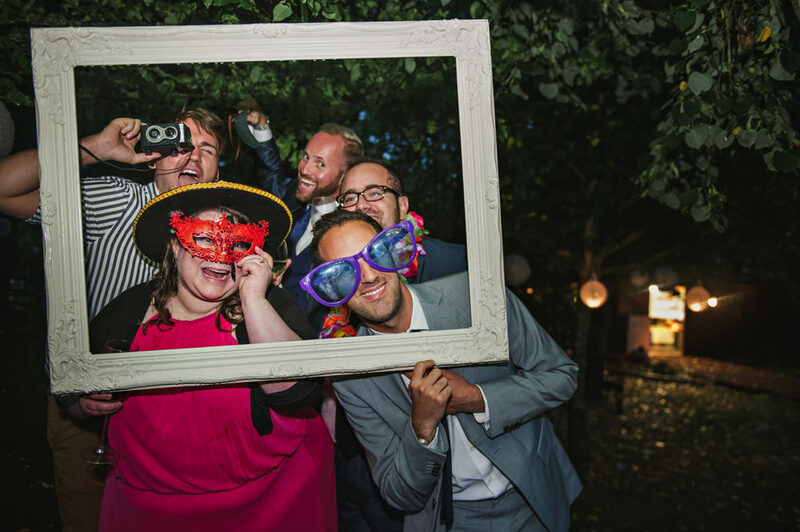 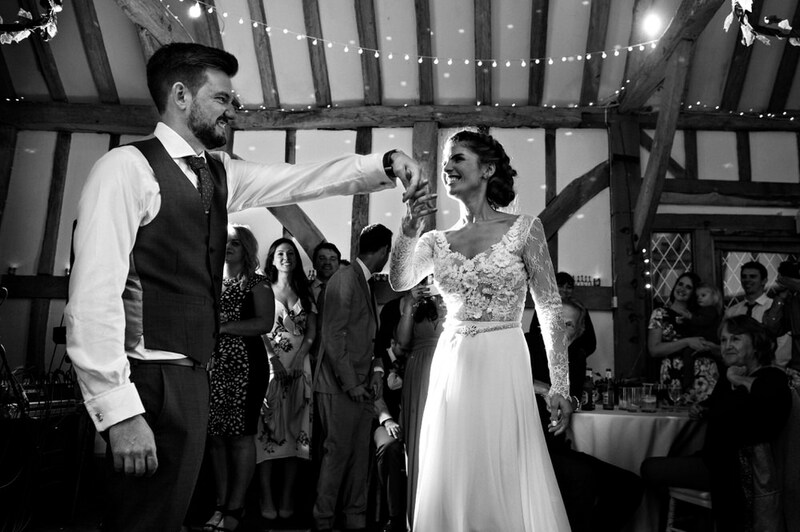 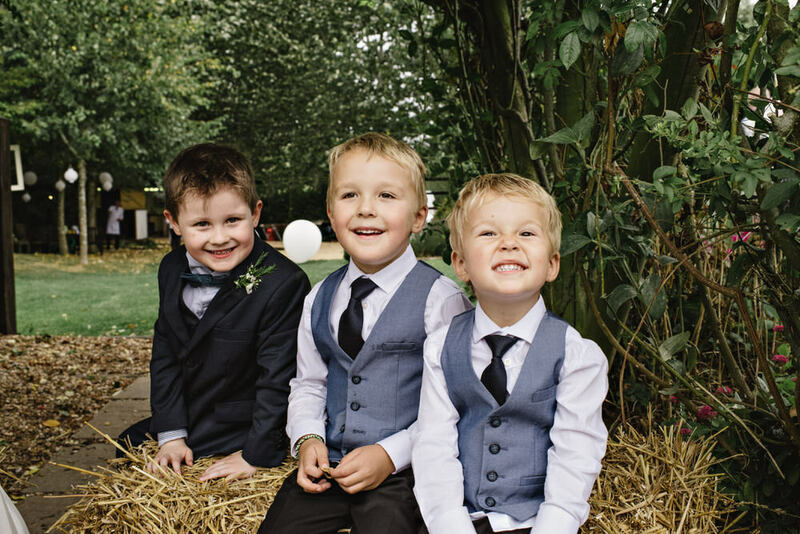 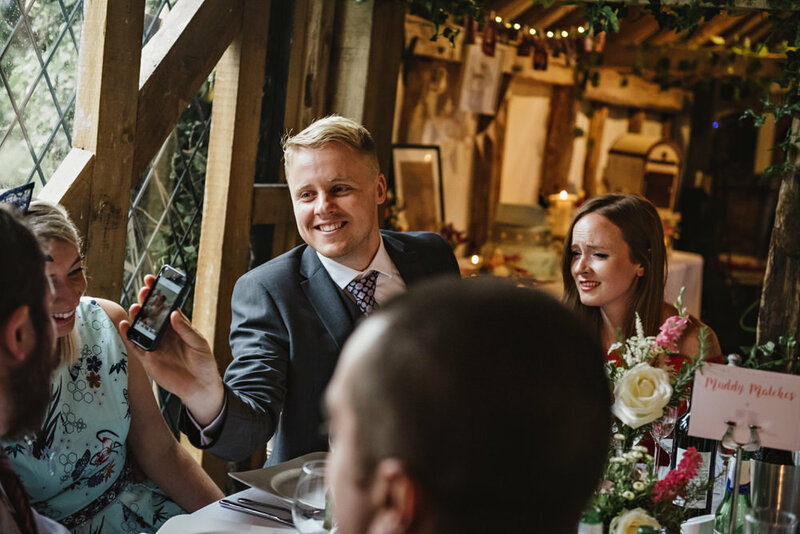 If you are looking for a Rumbolds Farm wedding photographer, please do get in touch. 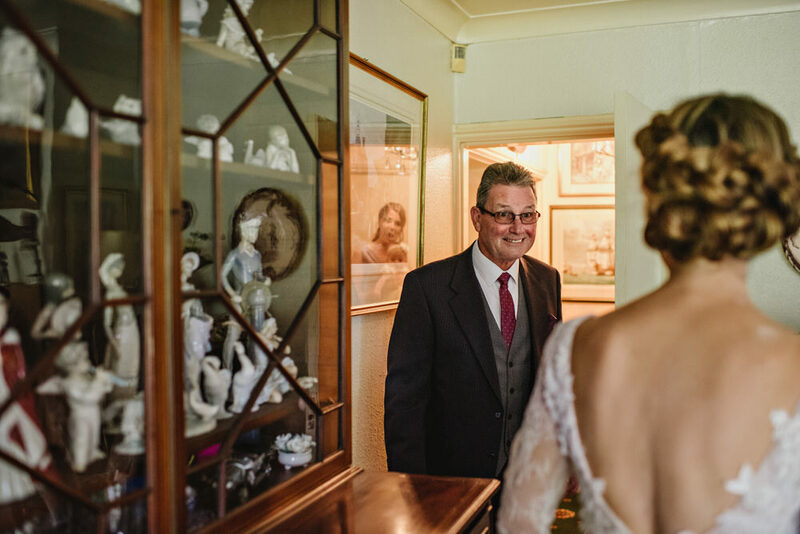 A lovely collection of images. 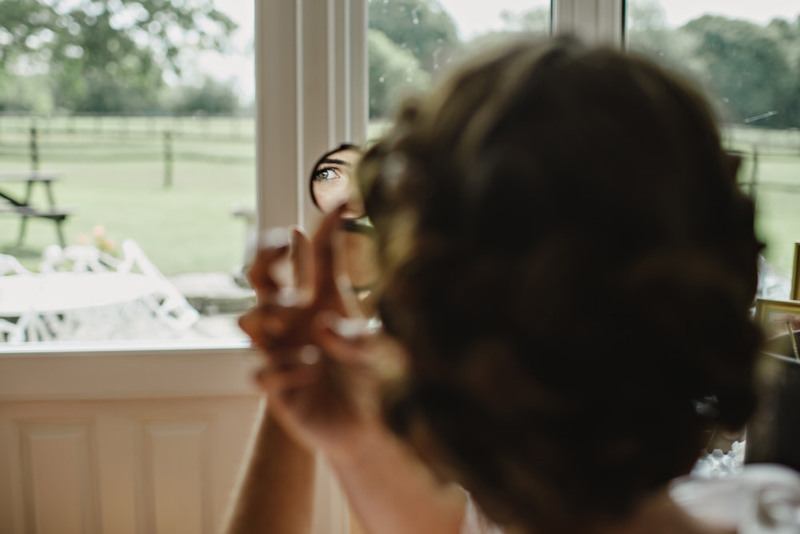 Big fan of the editing style and super portraits!